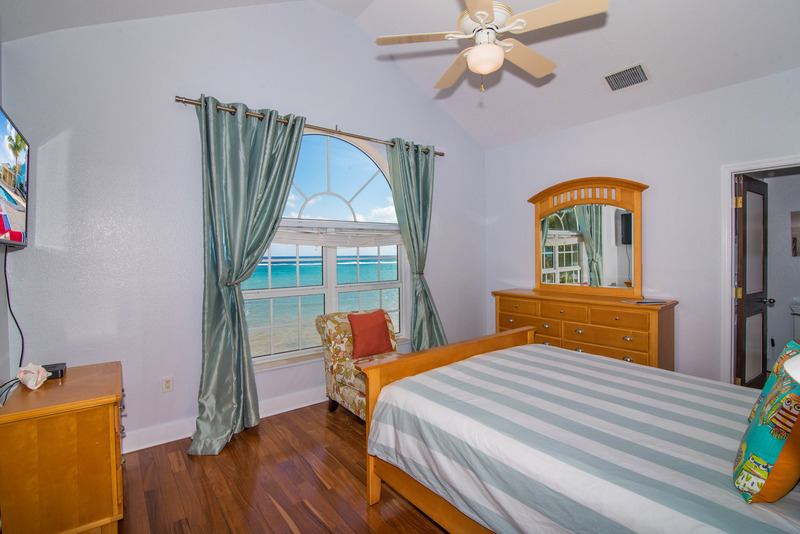 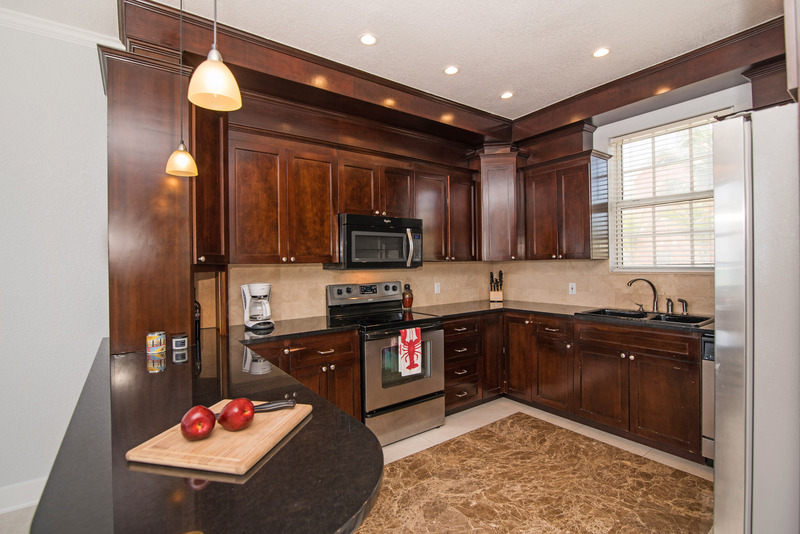 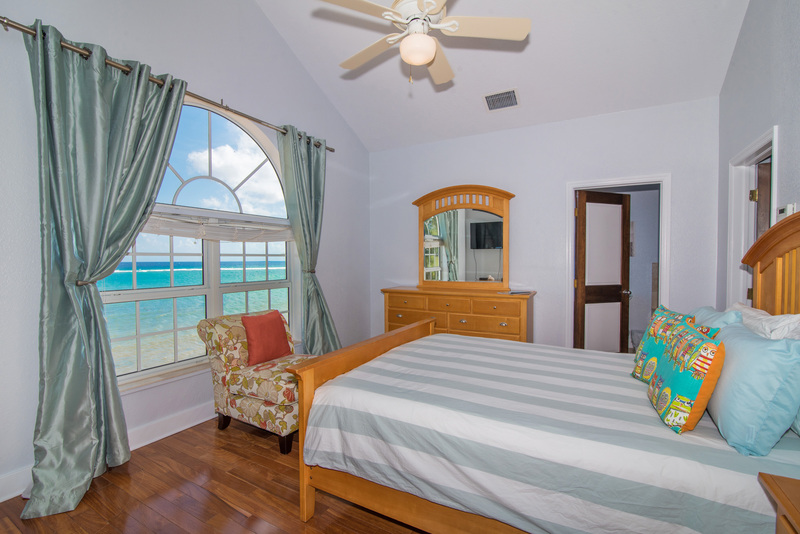 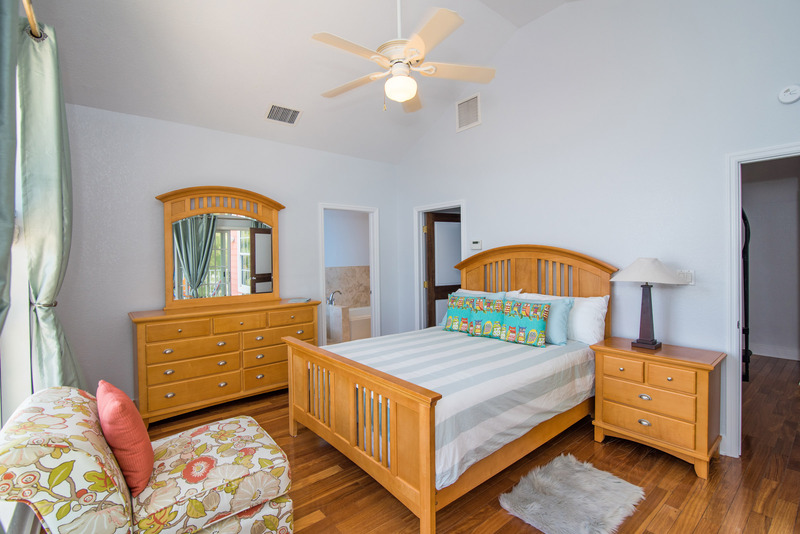 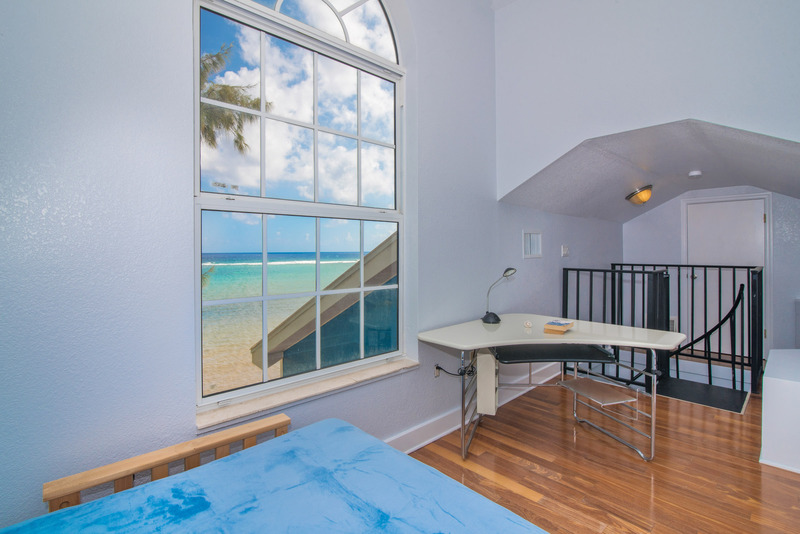 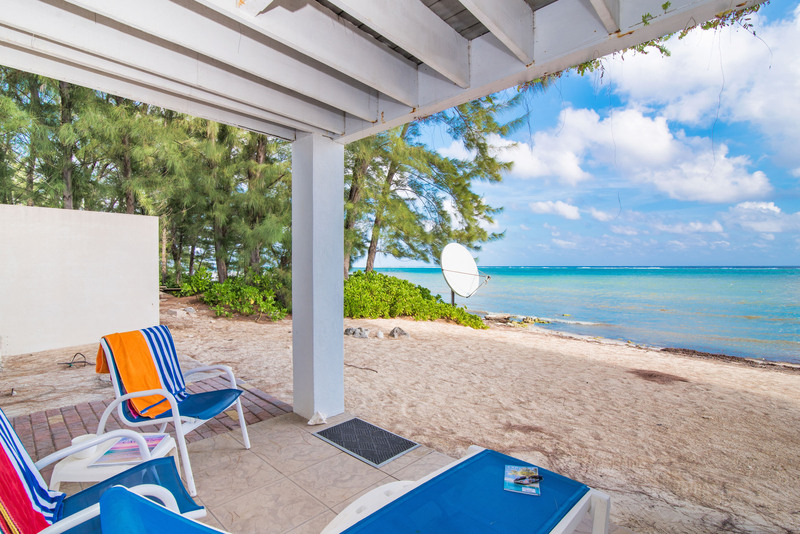 Cayman Paradise Villa #1 is a 4 bedroom 3.5 bath direct oceanfront in laid back East End. 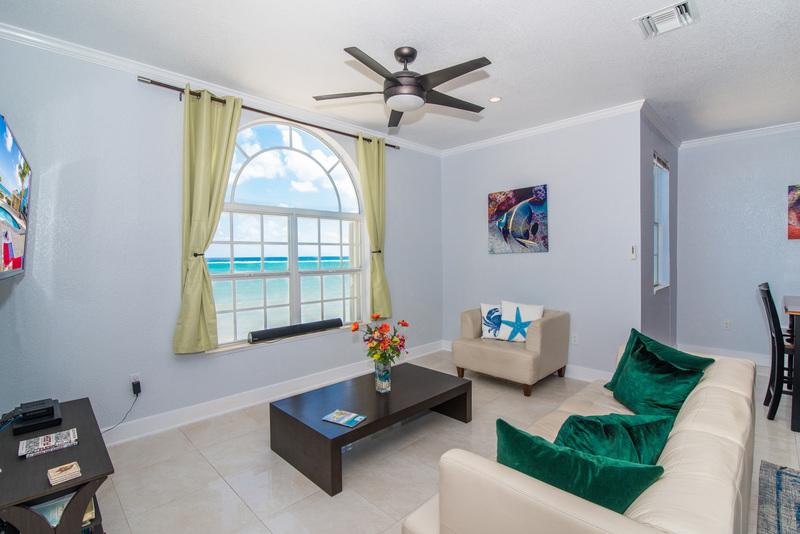 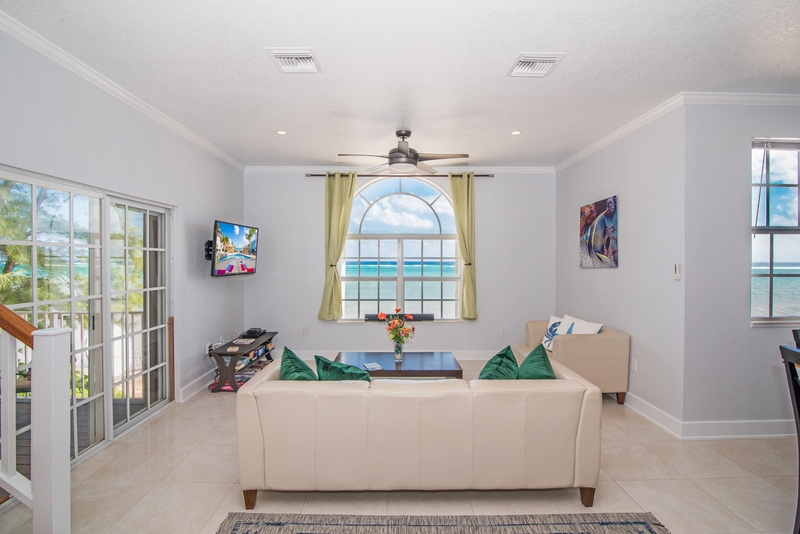 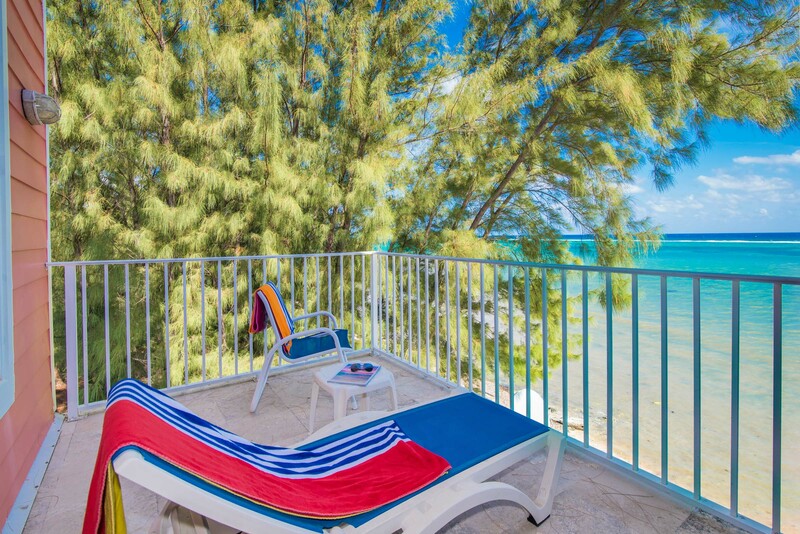 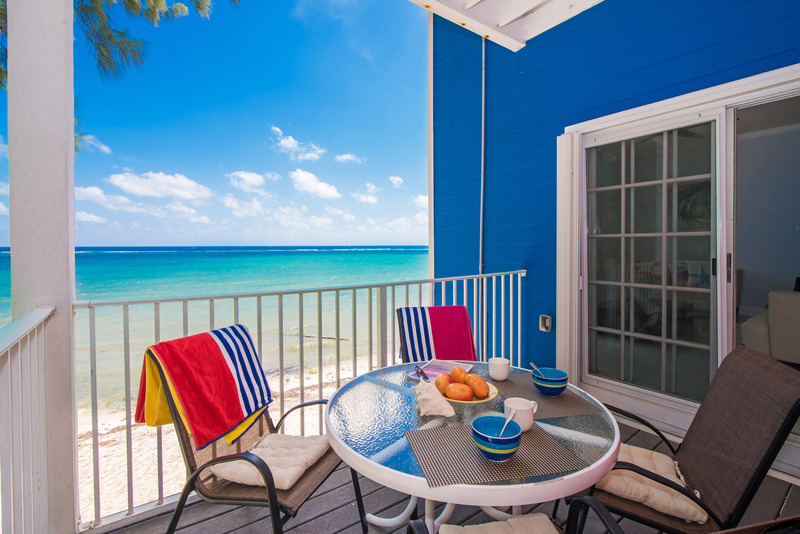 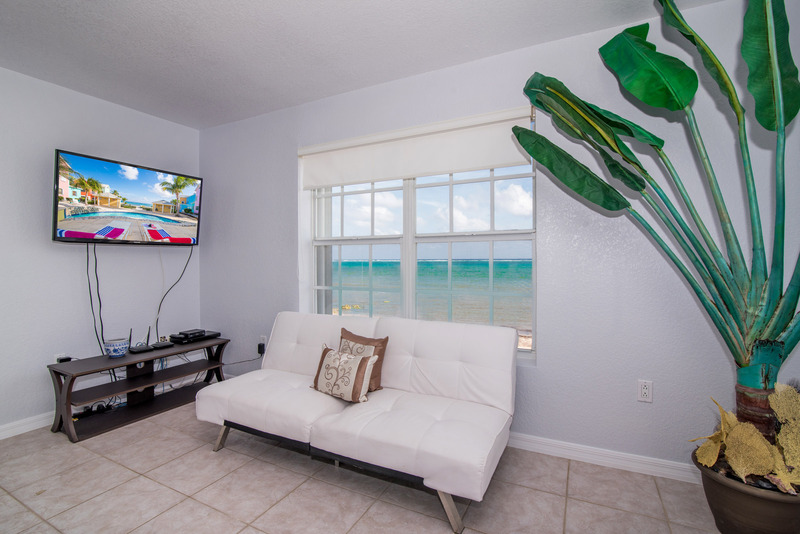 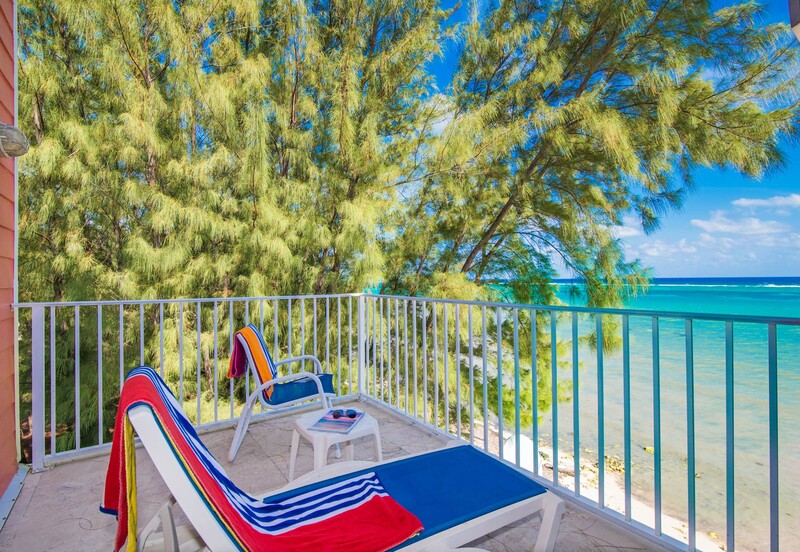 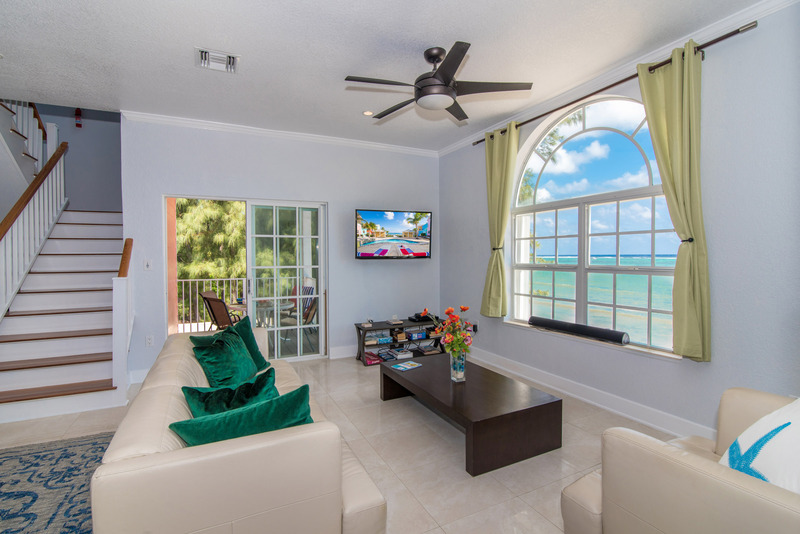 Welcome to Cayman Paradise Villas and our directly ocean and natural beach front unit #1. 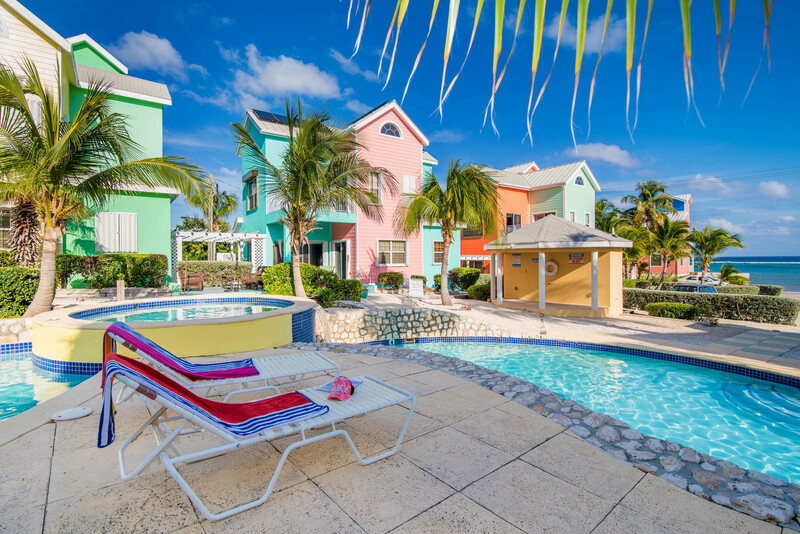 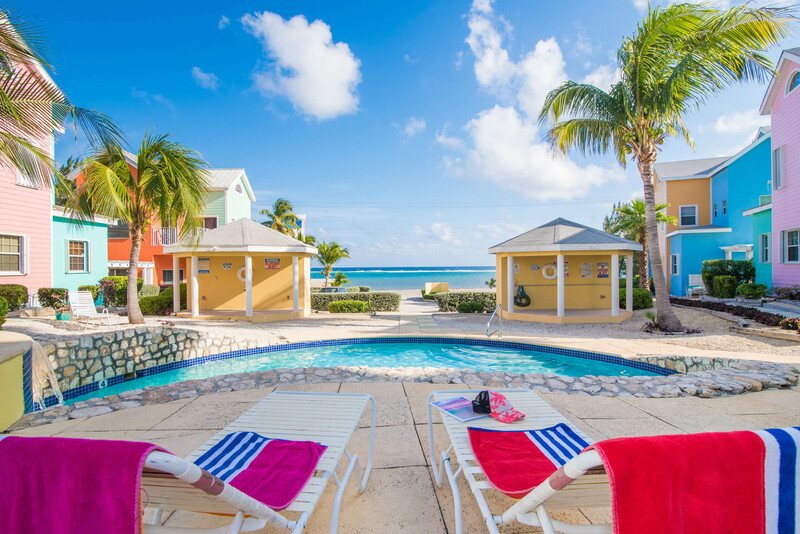 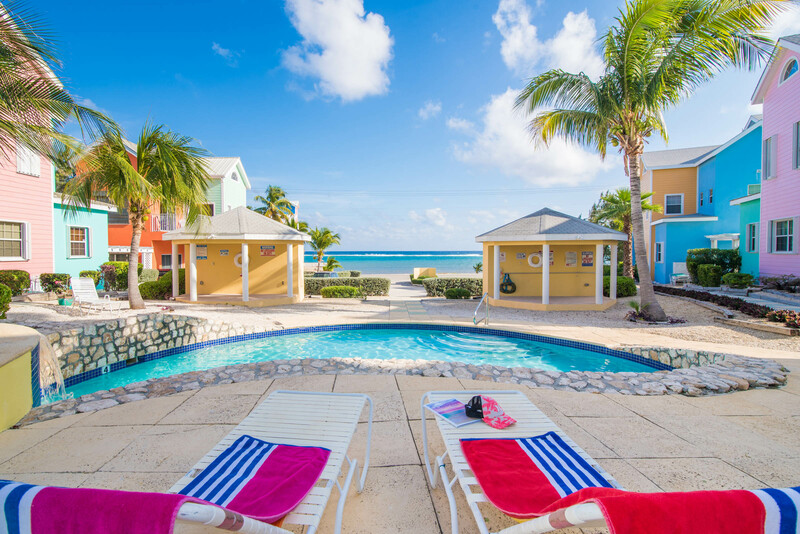 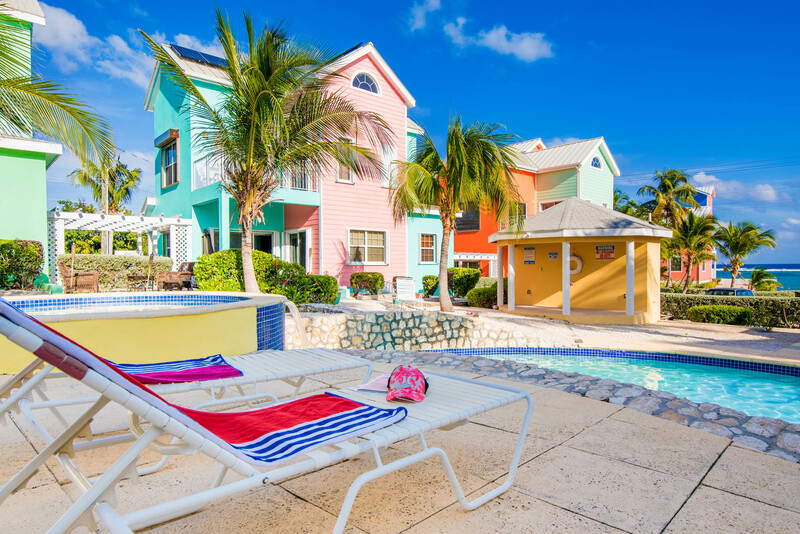 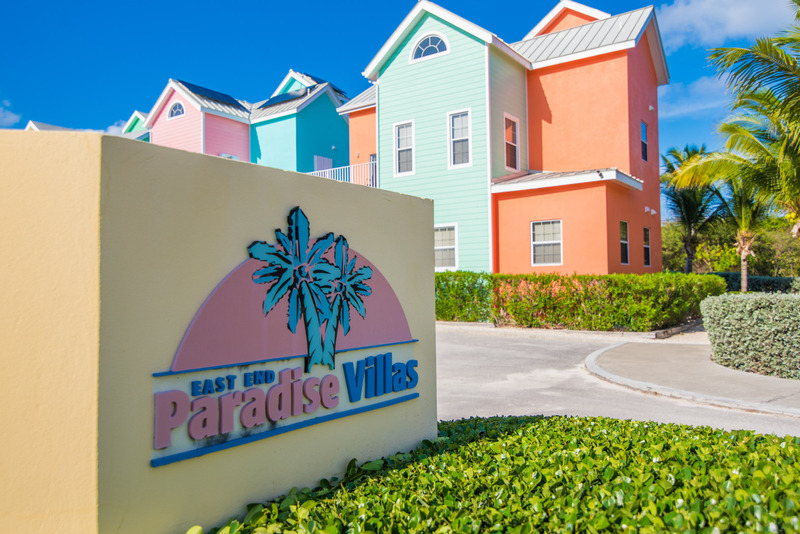 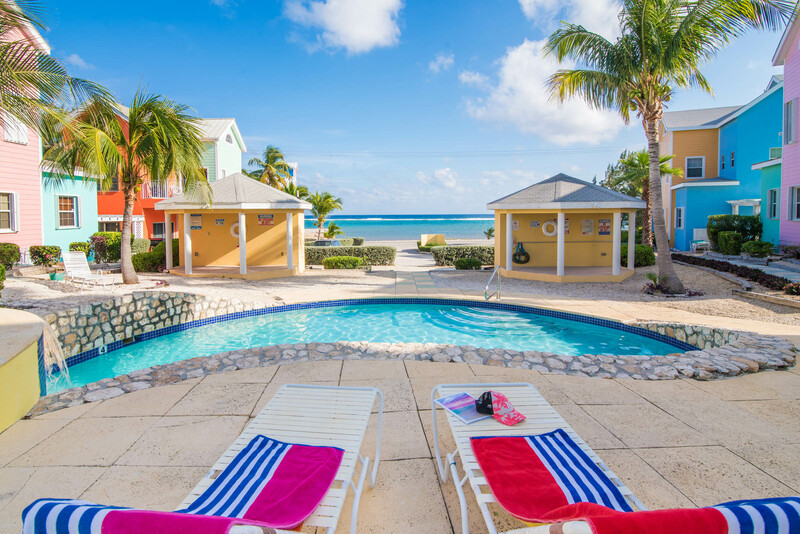 Cayman Paradise Villas is located in the quiet village of East End. 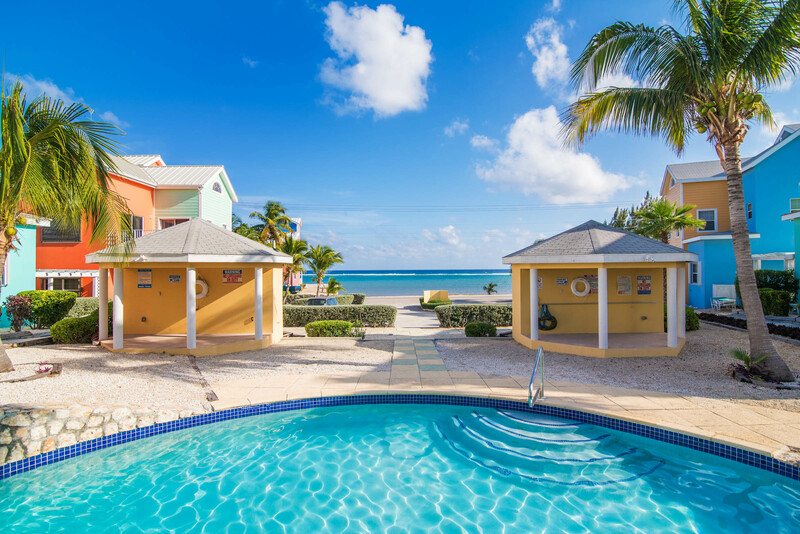 The small development consists of charming, colorful, Caribbean-style luxury villas with secluded beaches and fantastic panoramic ocean views. 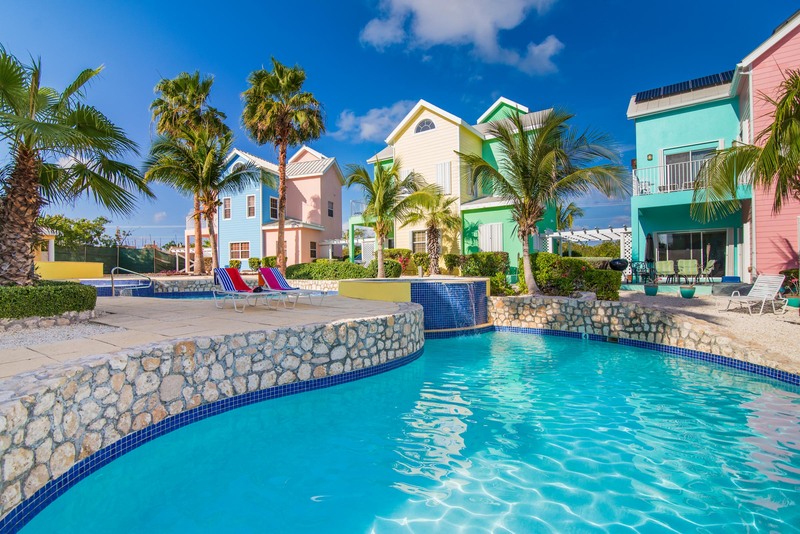 The development also features a 5-tier freshwater pool with 3 waterfalls and whirlpool, just steps away from our villa. 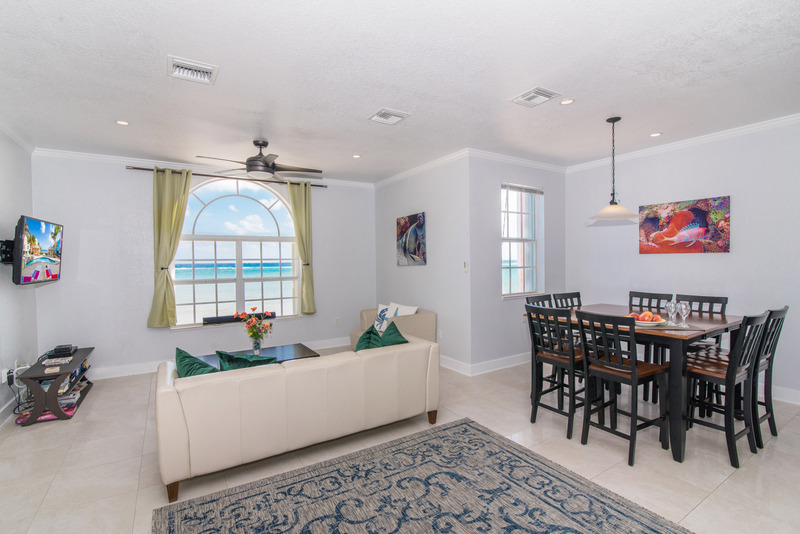 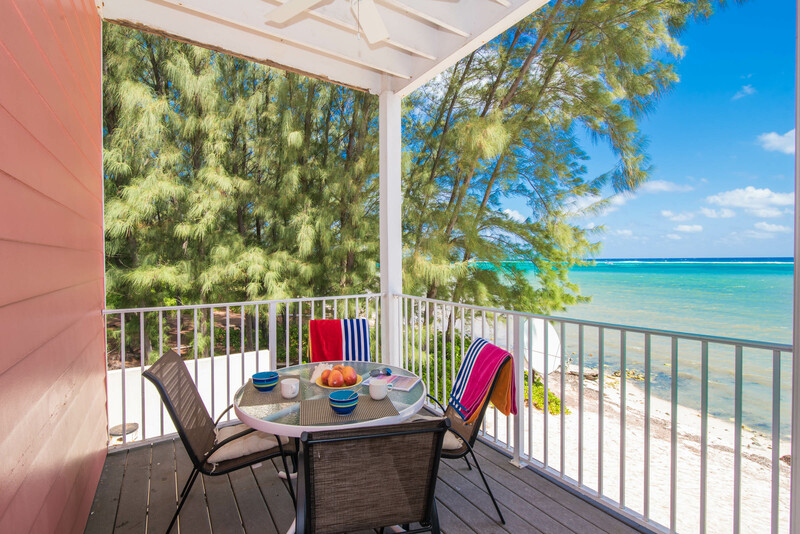 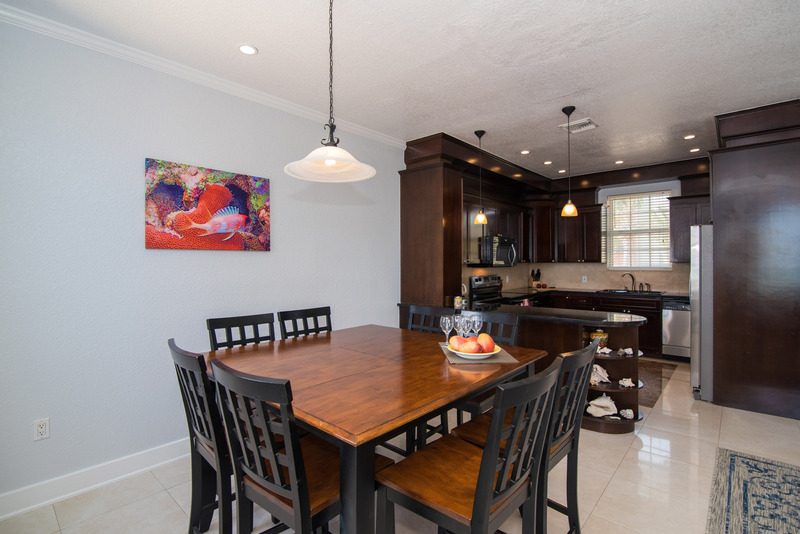 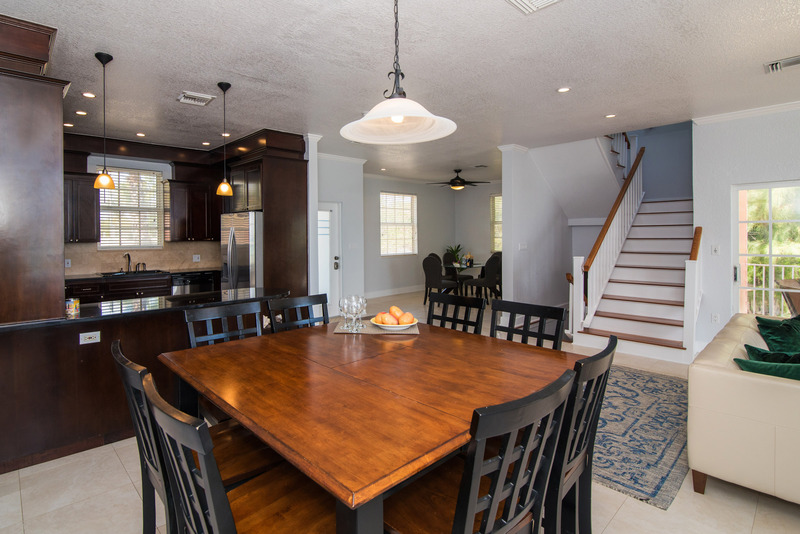 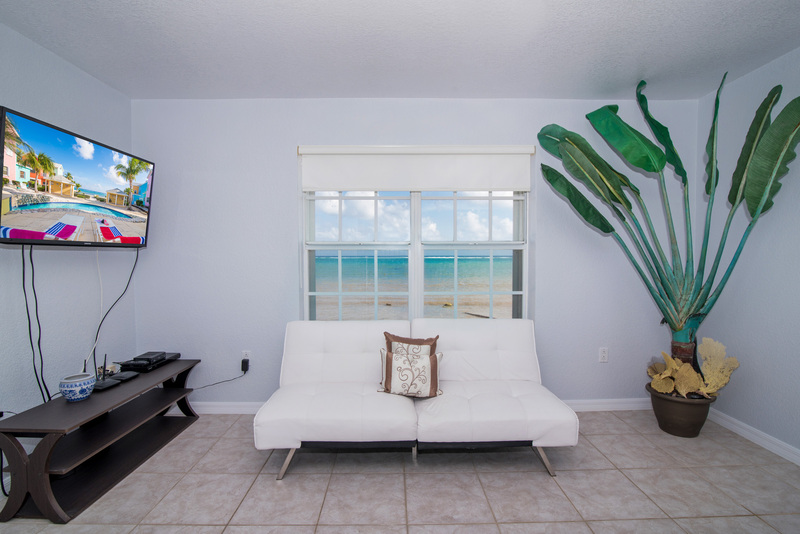 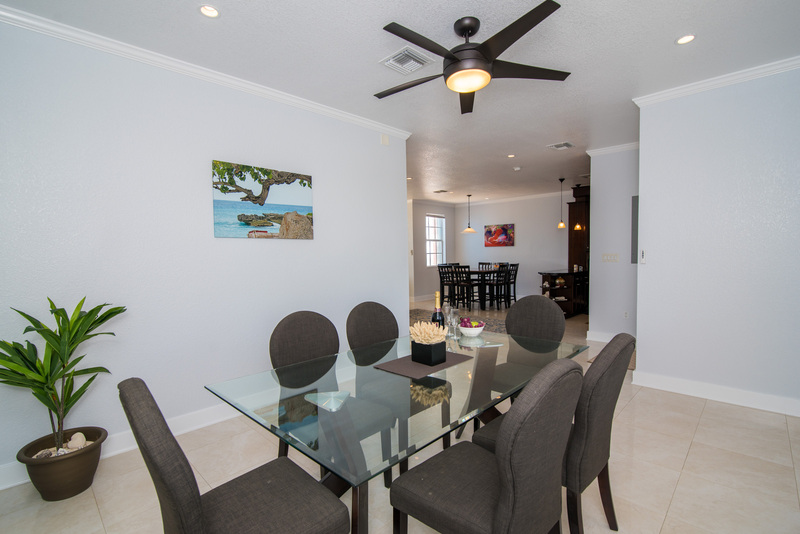 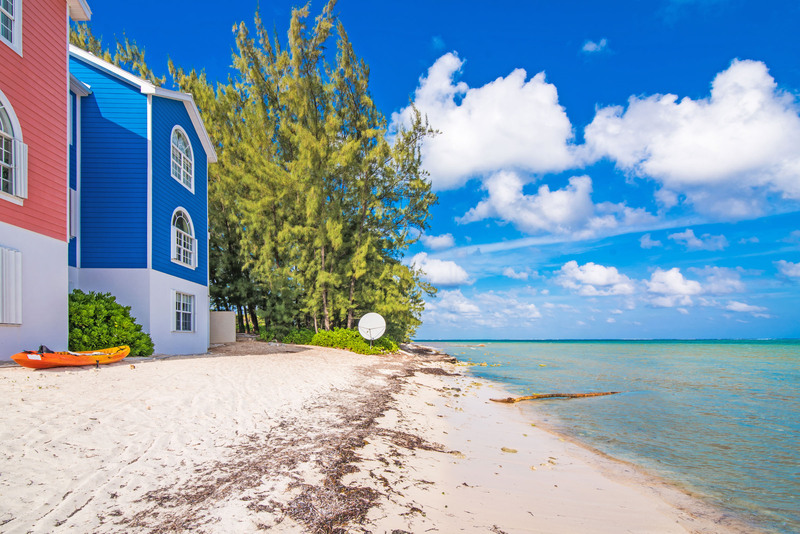 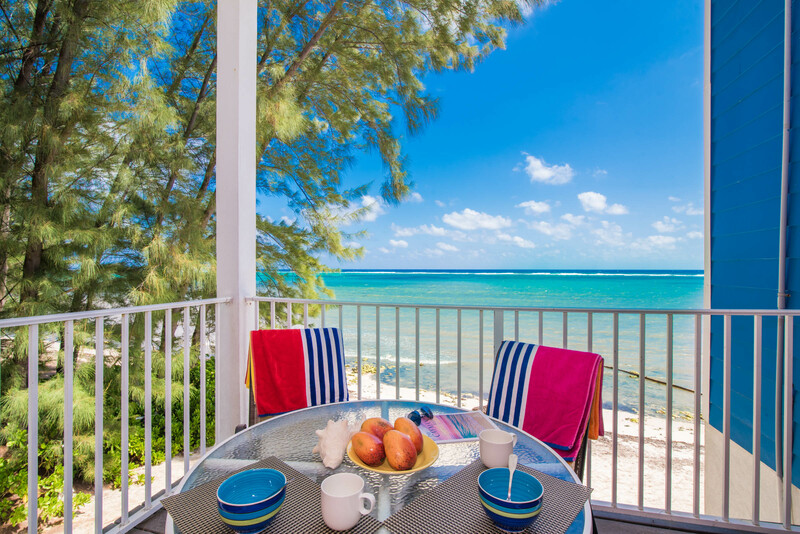 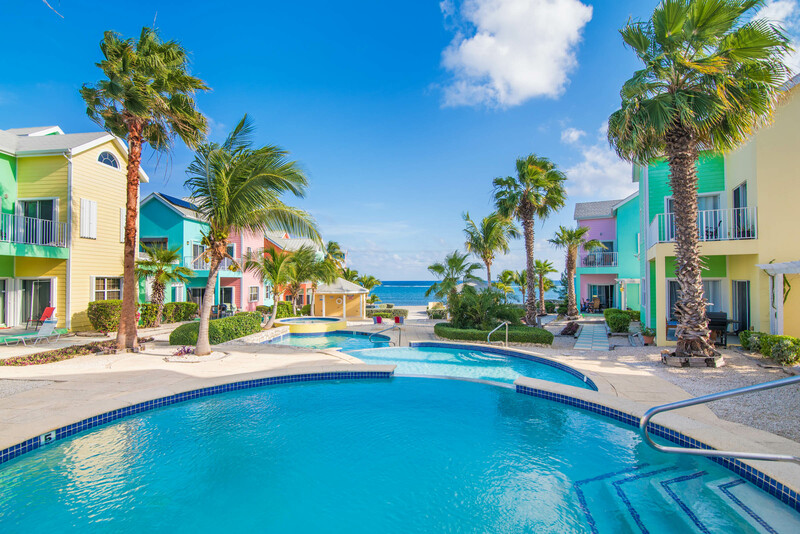 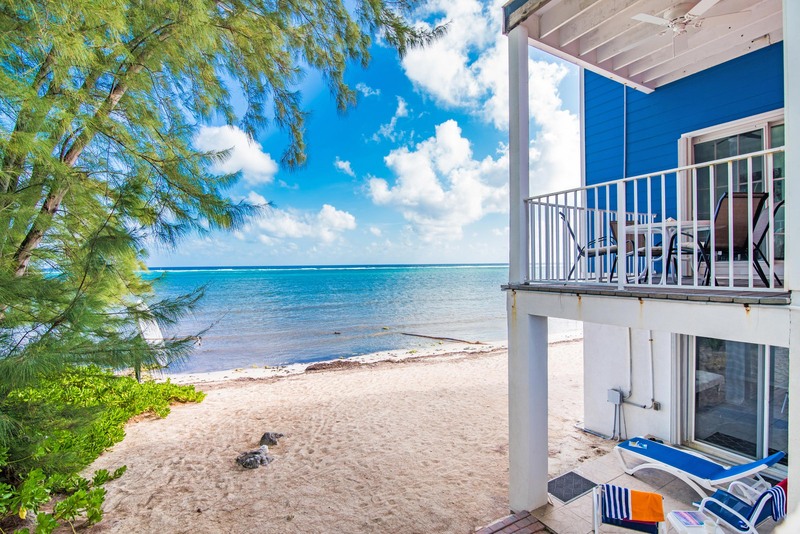 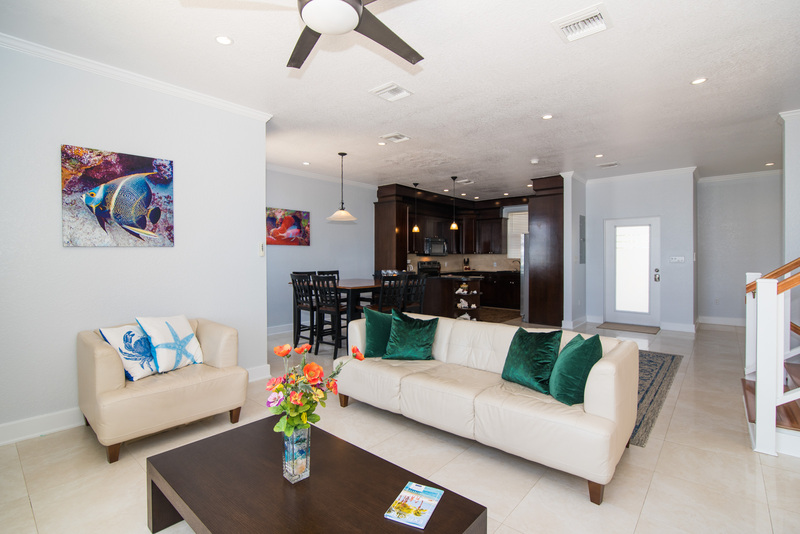 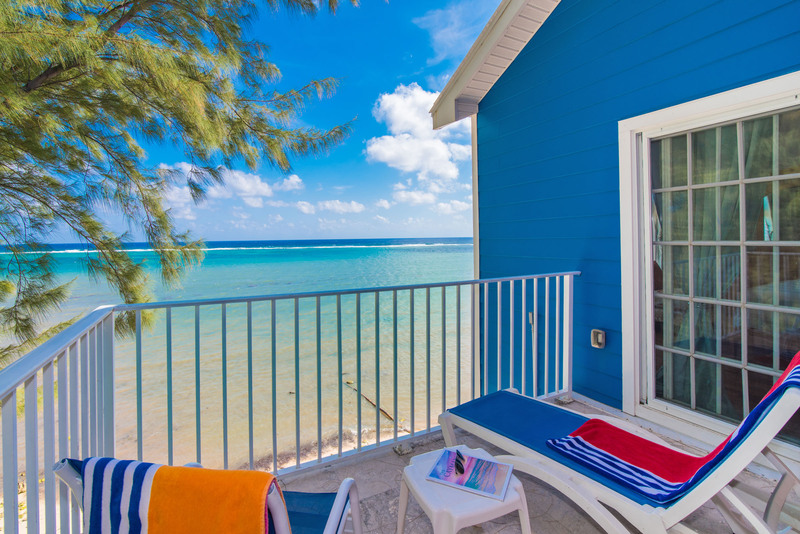 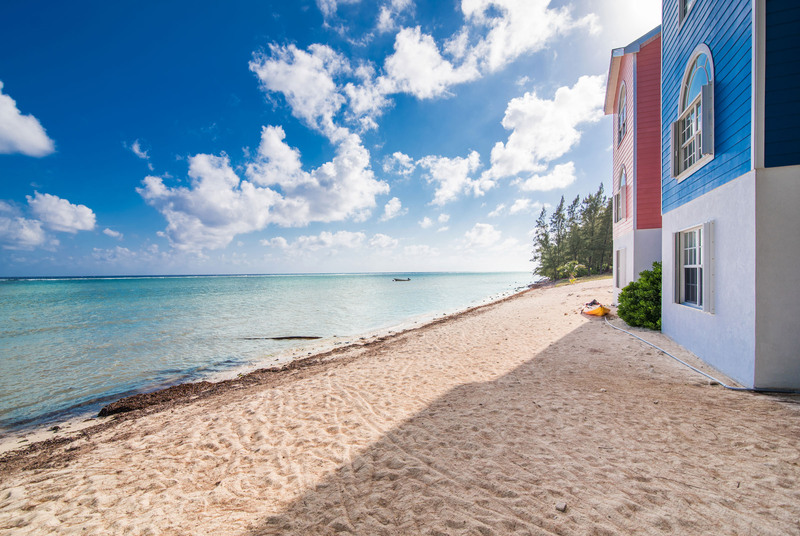 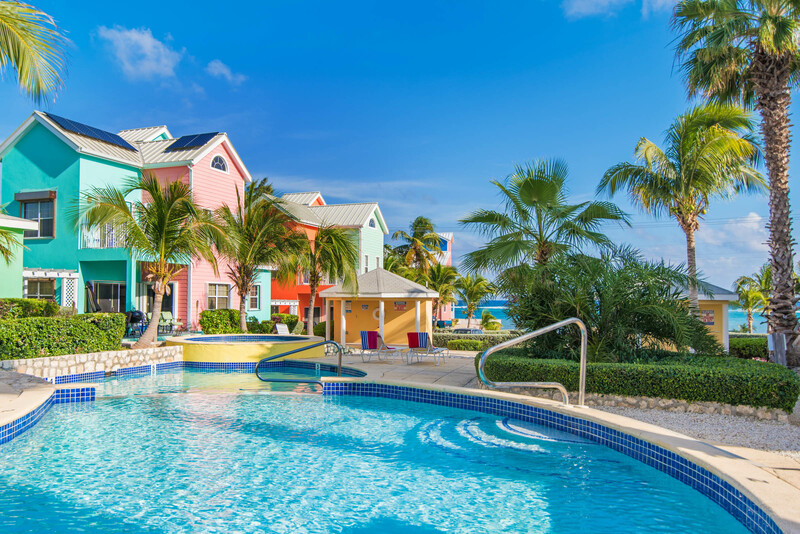 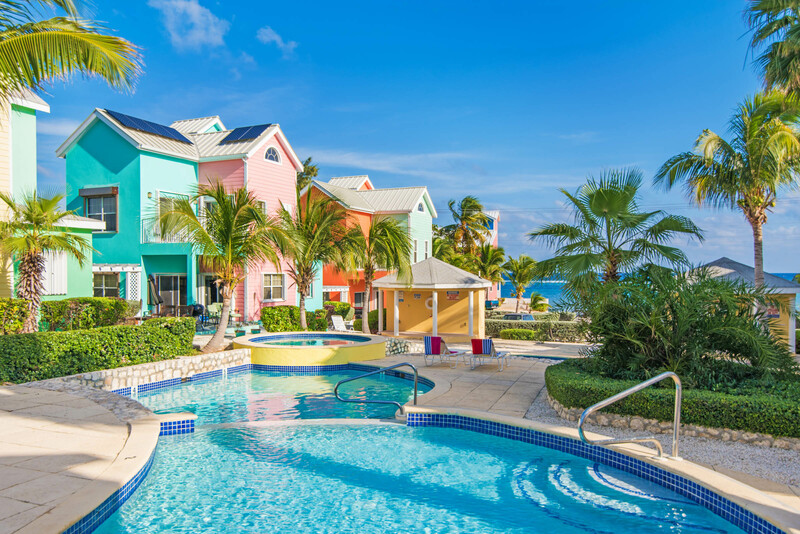 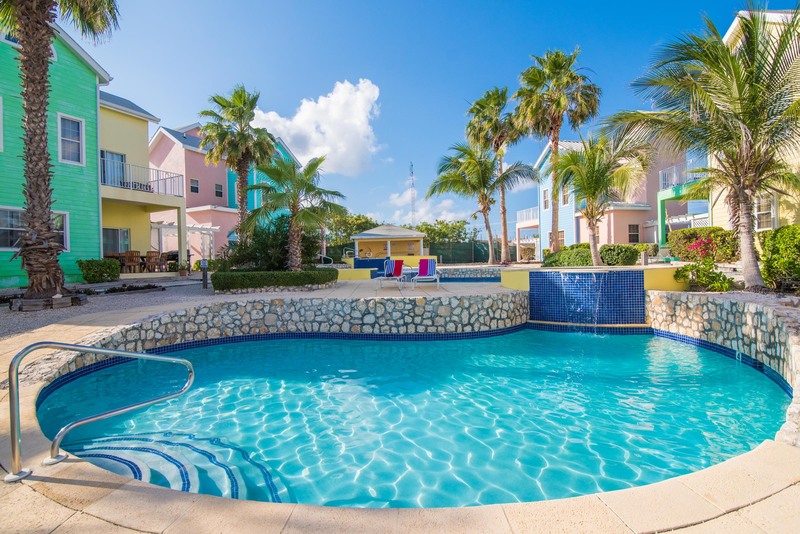 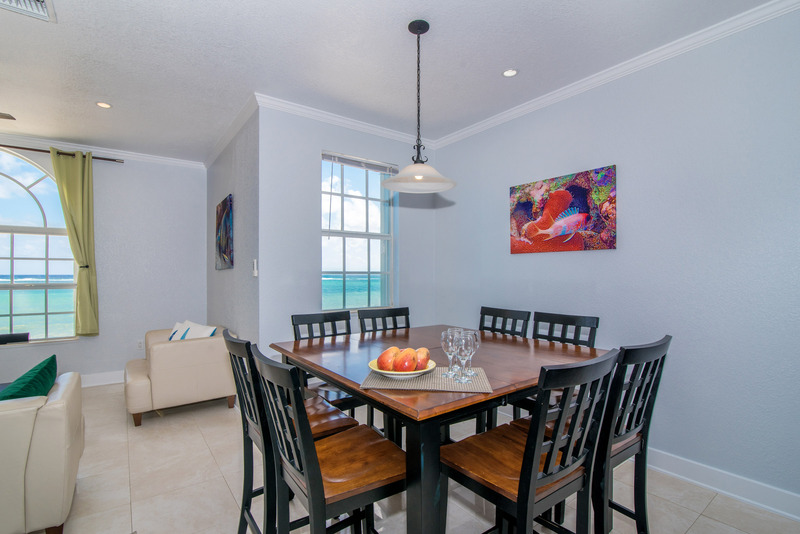 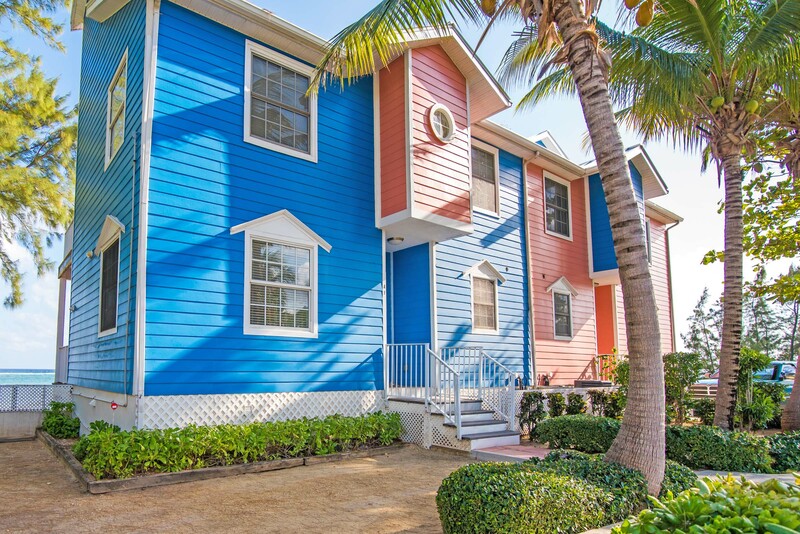 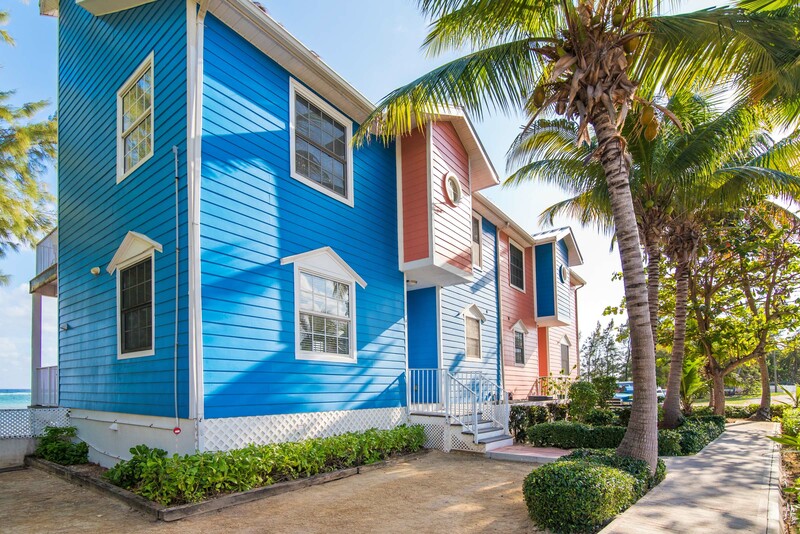 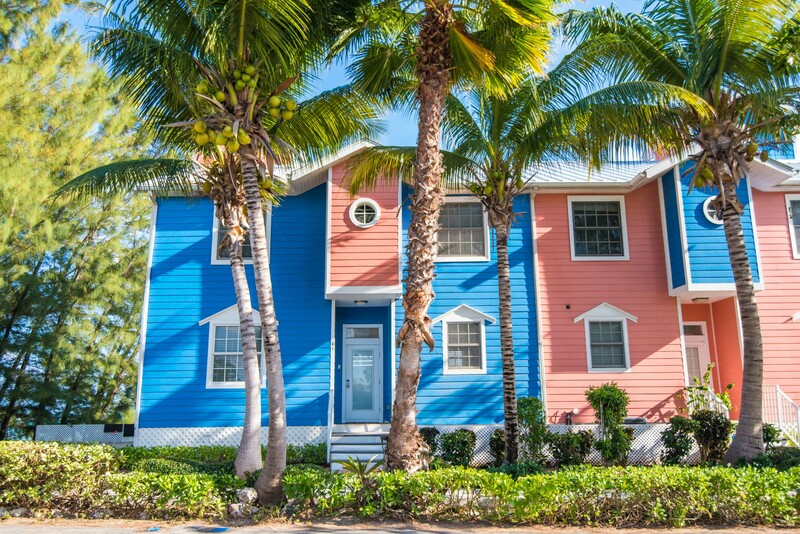 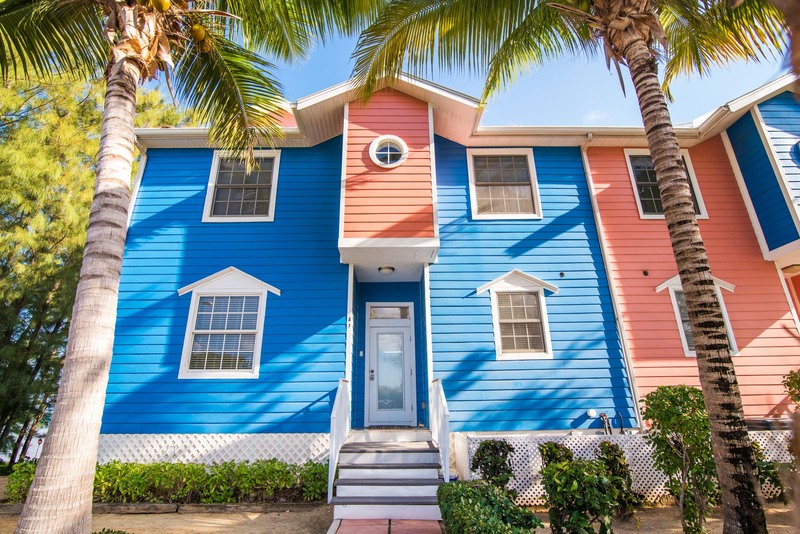 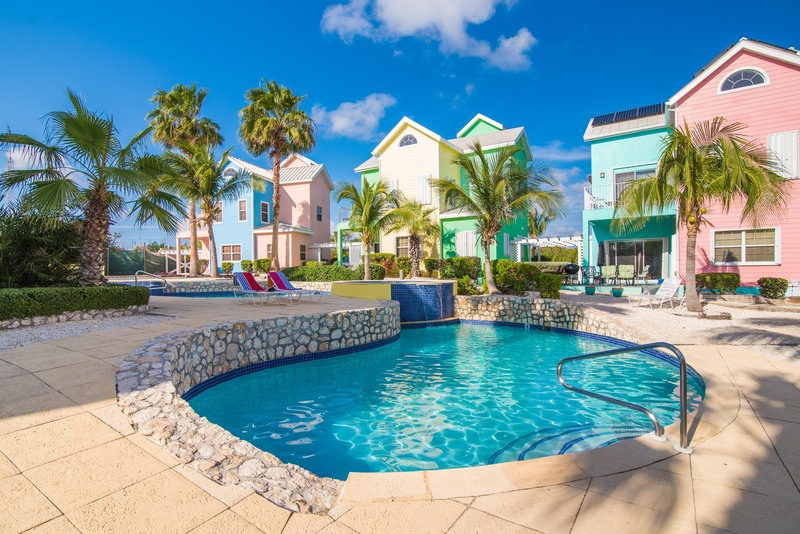 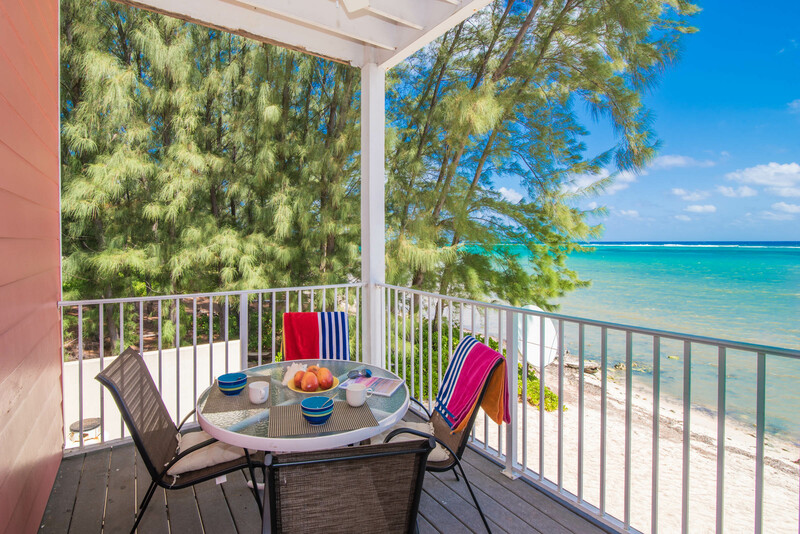 Cayman Paradise Villas #1 is new to the vacation rental market as of March 2019. 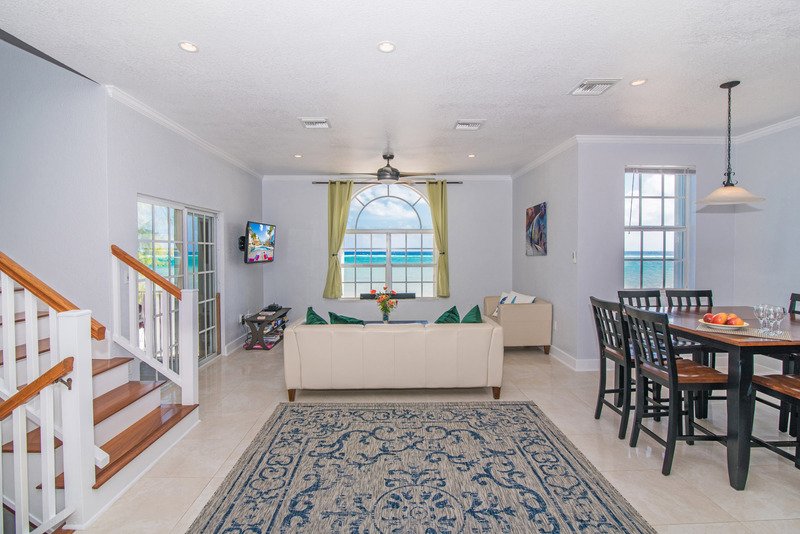 This immaculate and smartly decorated direct oceanfront villa has 4 bedrooms, 3.5 baths and with the sleeper sofa can comfortably sleep up to 10 people. 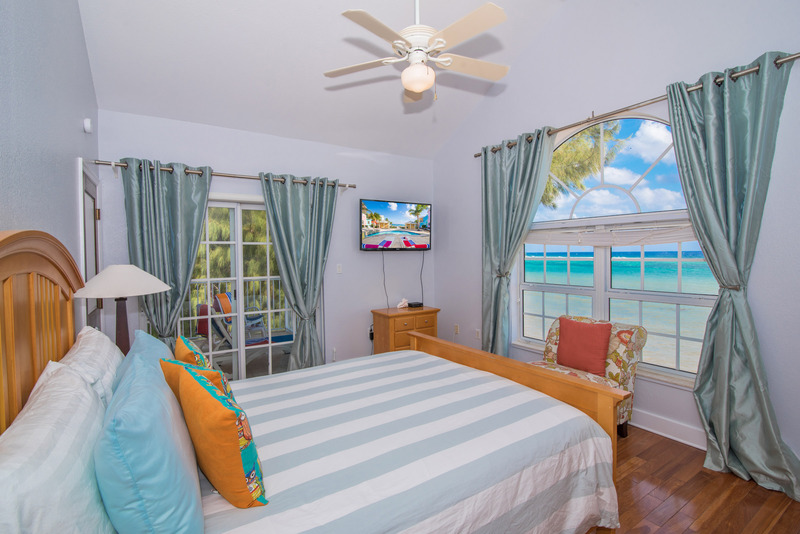 There are sweeping views of the Caribbean Sea and beach from most rooms. 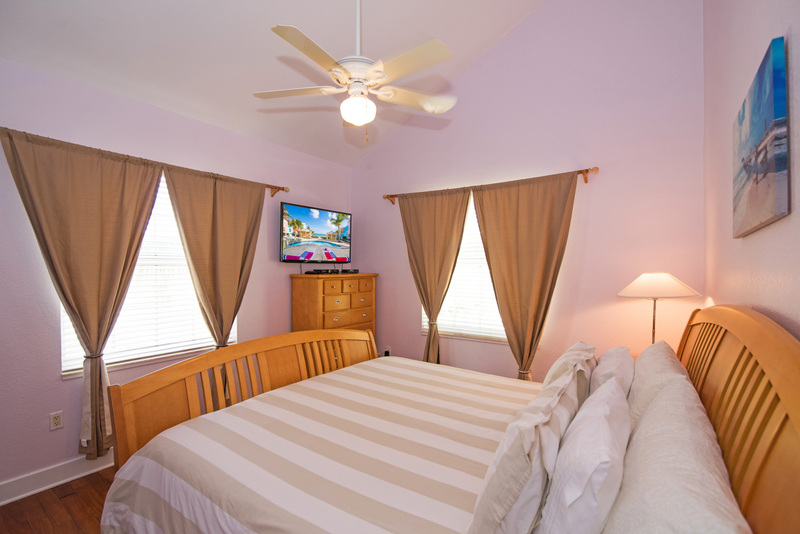 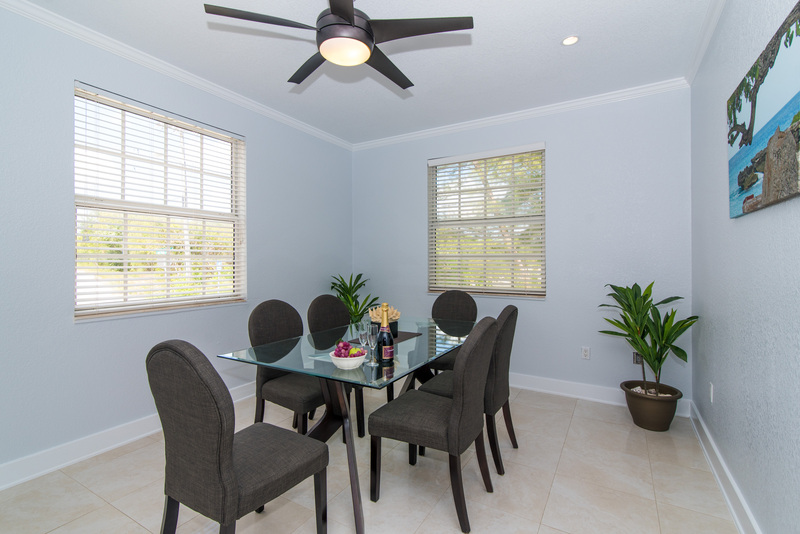 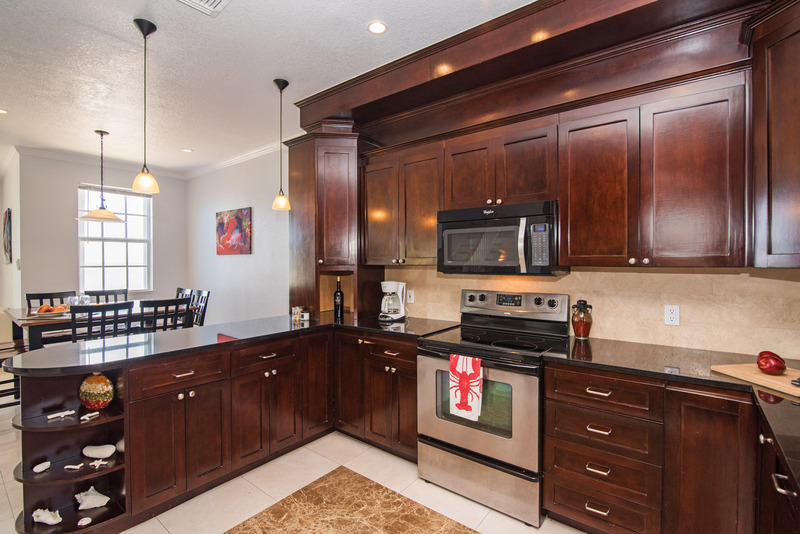 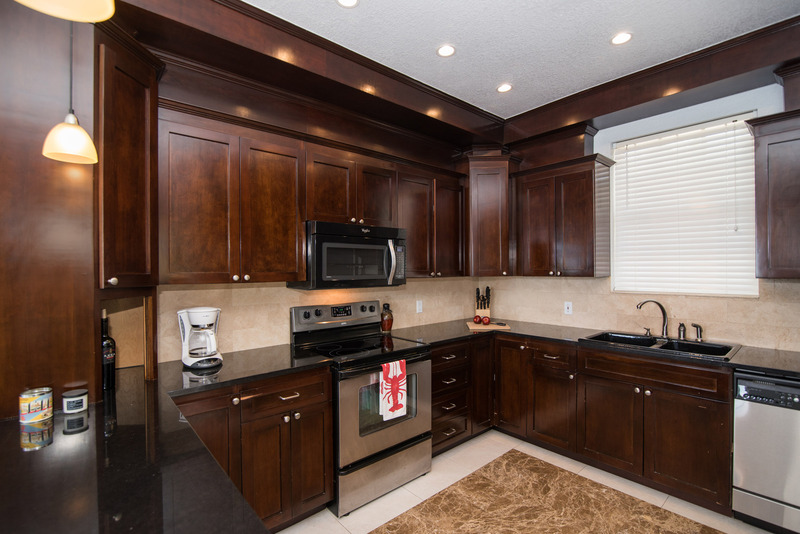 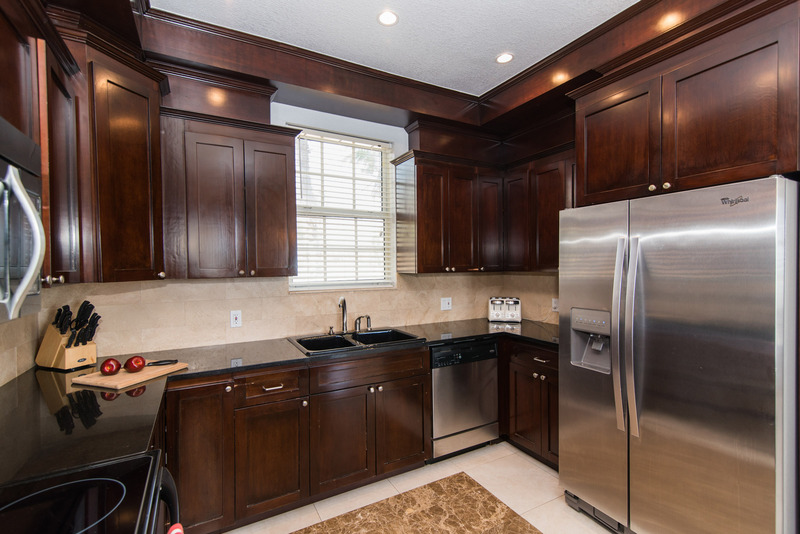 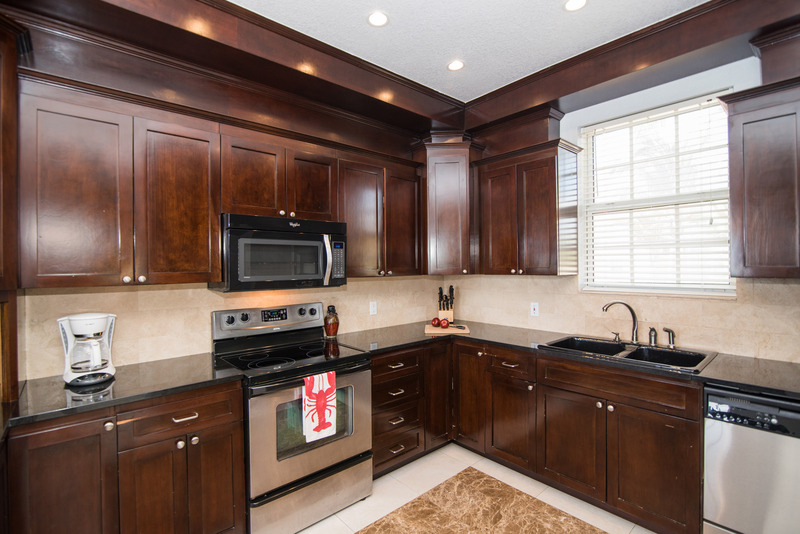 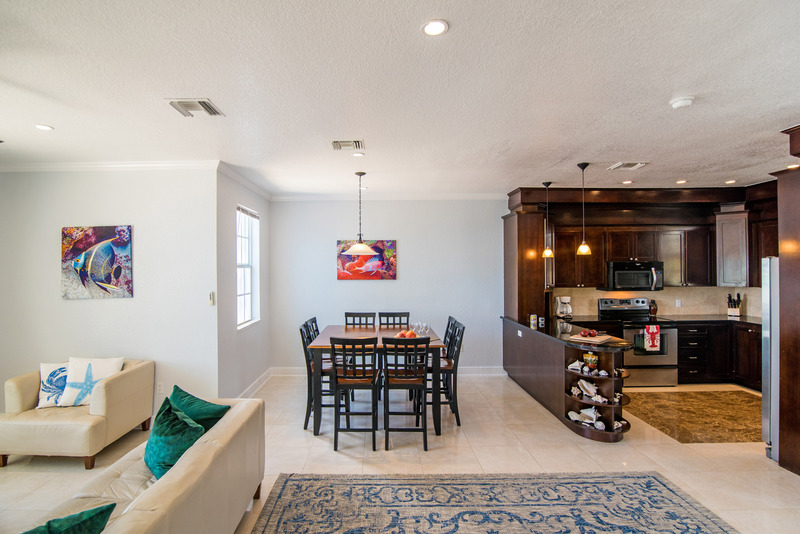 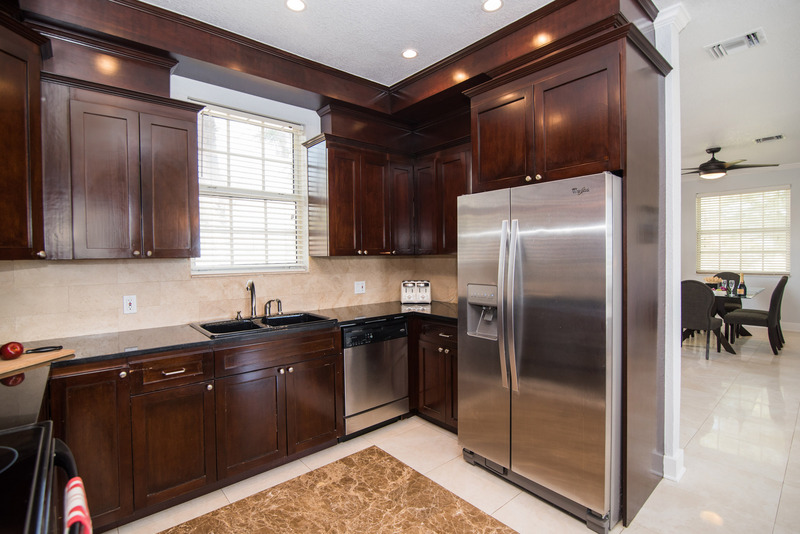 Central AC and ceiling fans throughout, high speed wifi and multiple TVs with cable offer all the comforts of home. 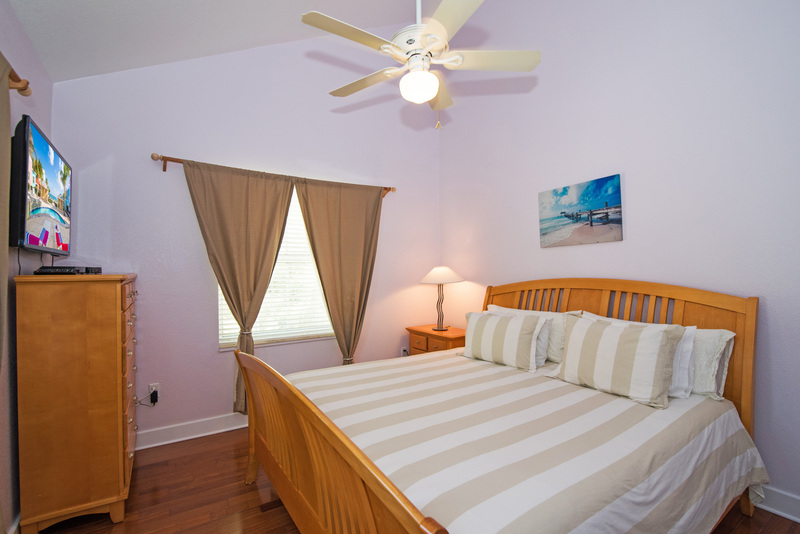 The master bedroom has a Queen size bed, TV & Cable, walk in closet and en suite bath/shower and his and her sinks. 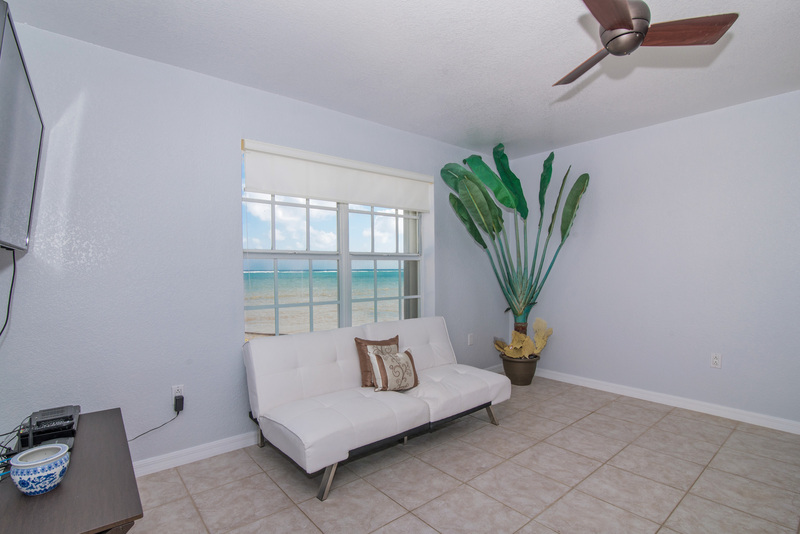 It also features a side patio that fronts the sea with outdoor sofa and coffee table. 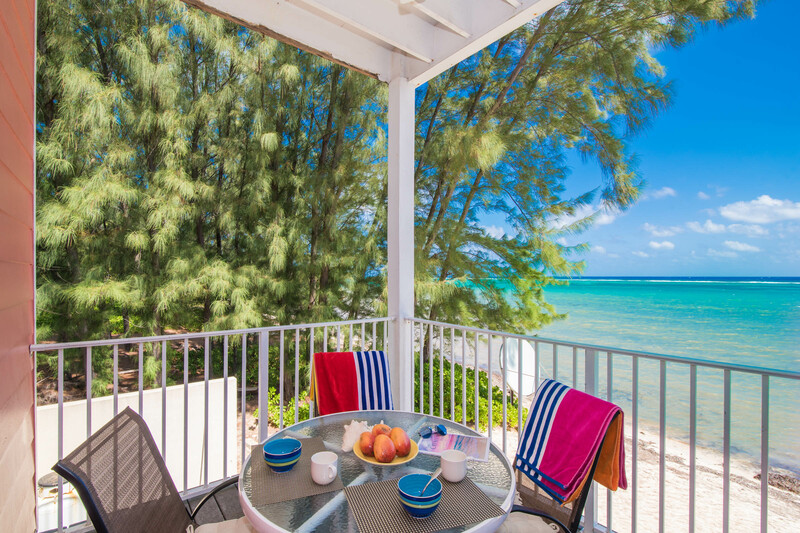 Enjoy amazing sunrises and sunsets and constant breezes from the patio! 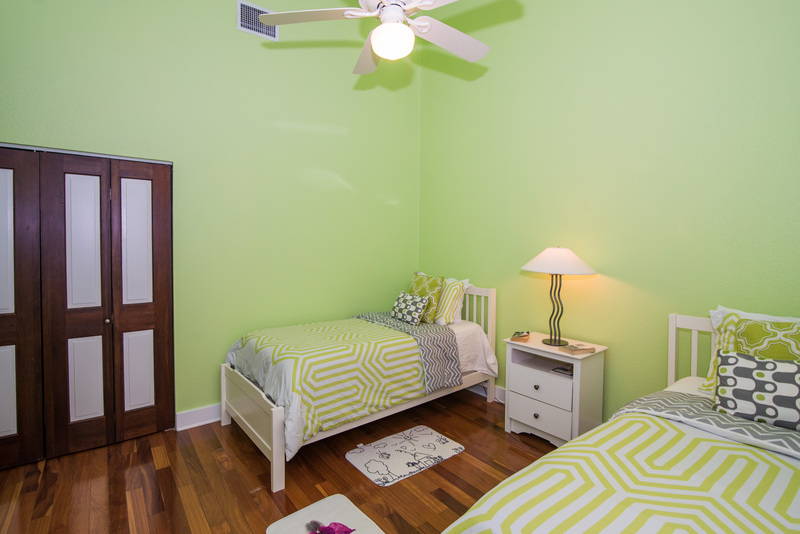 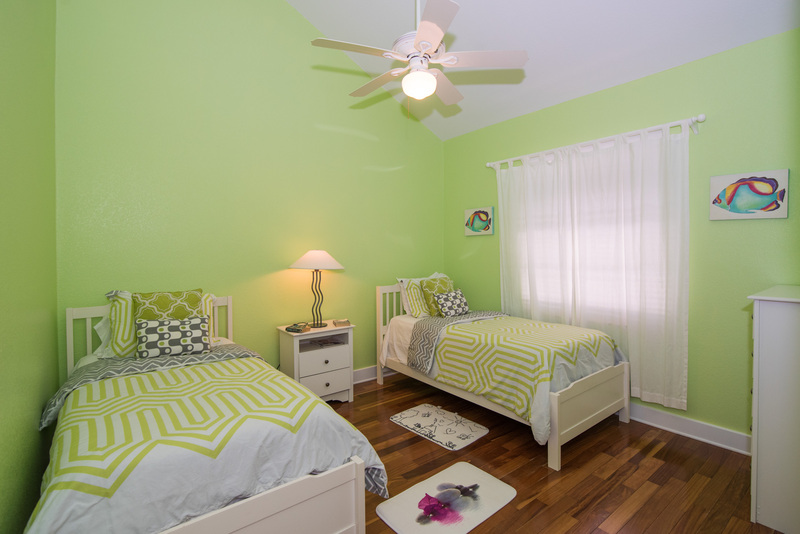 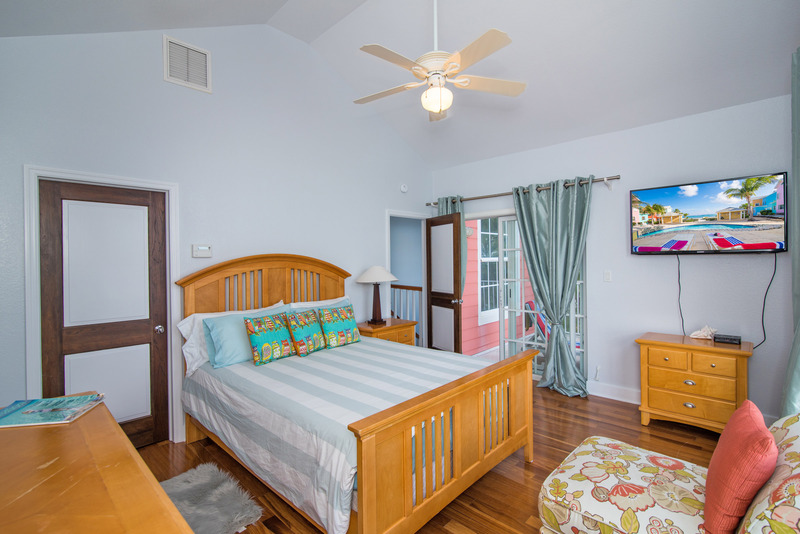 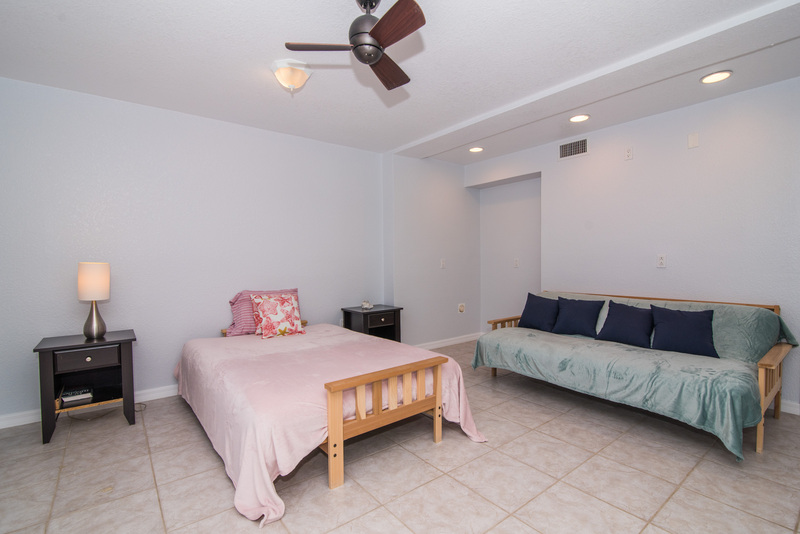 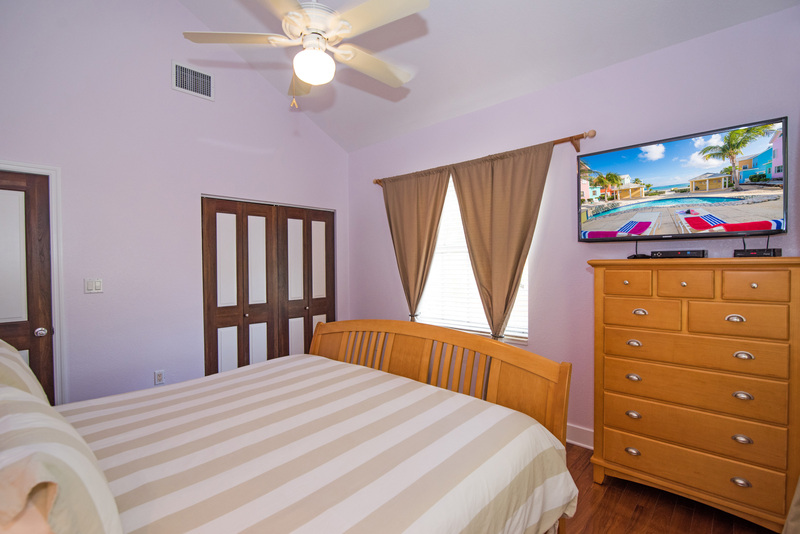 The 2nd bedroom has a King size bed with TV & Cable, and the 3rd bedroom has 2 twin beds with plenty of storage. 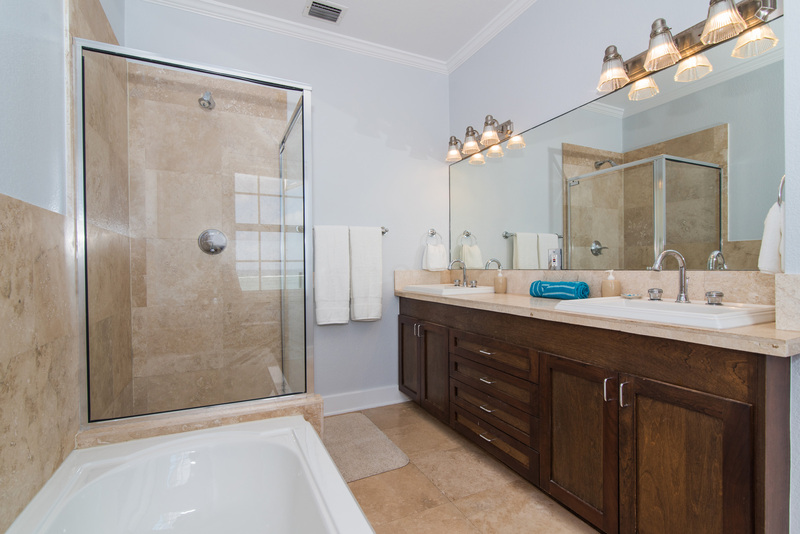 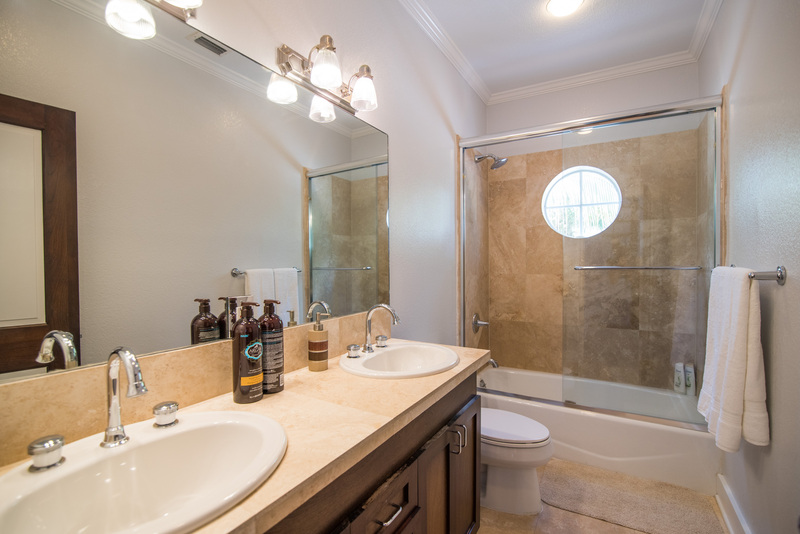 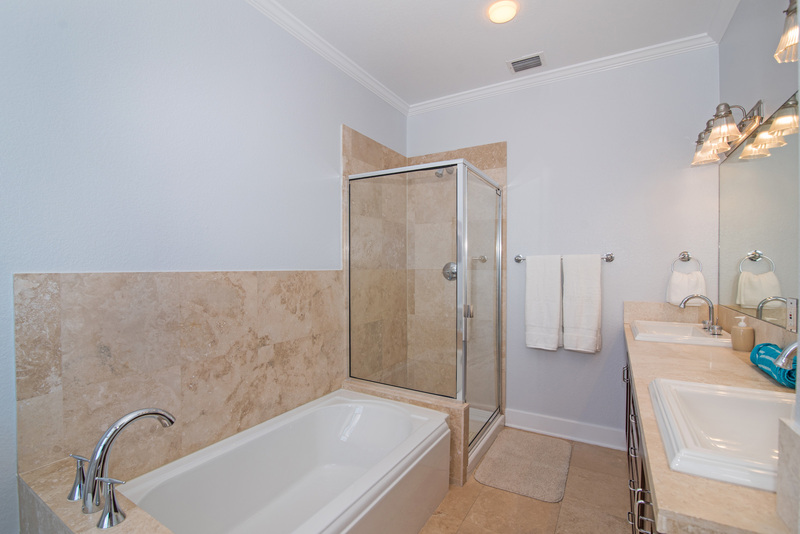 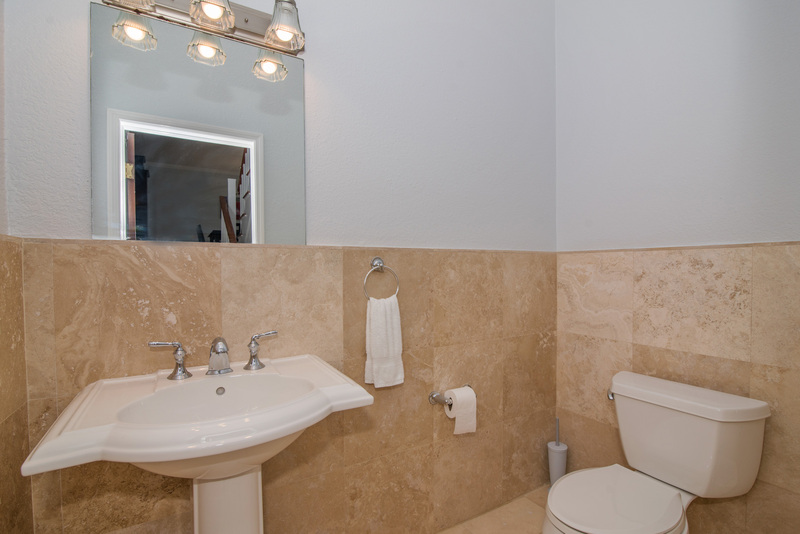 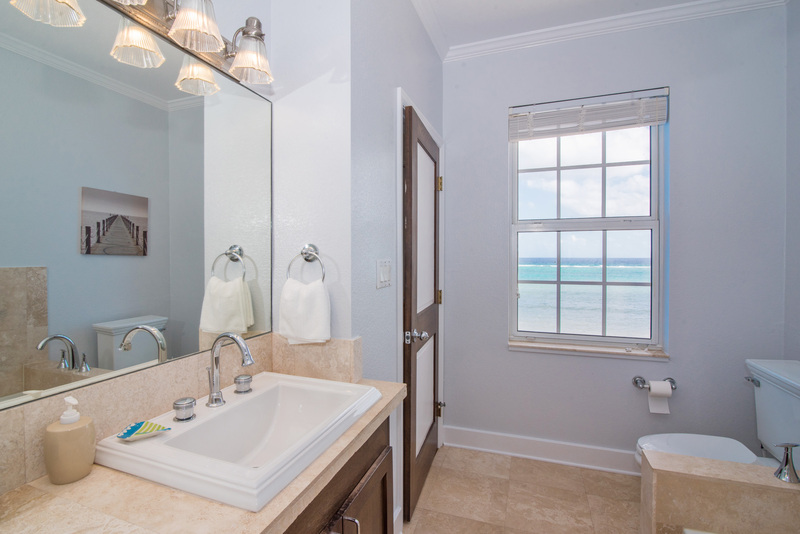 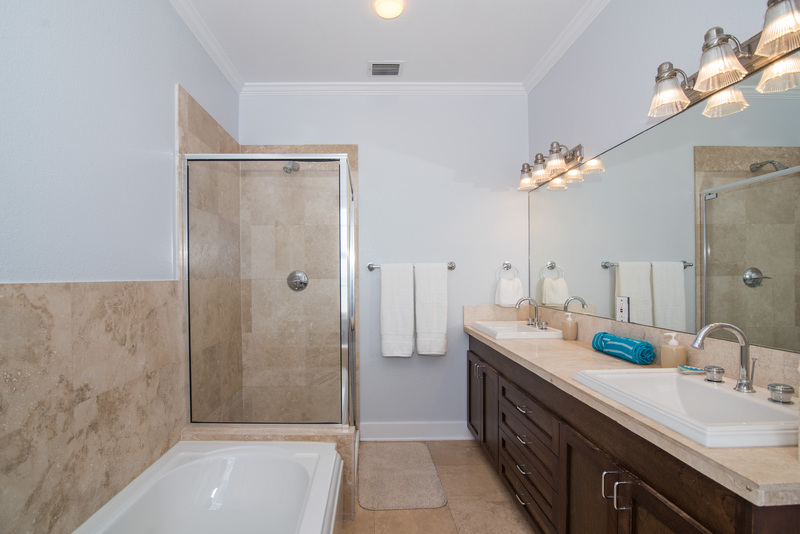 The 2nd and 3rd bedrooms share a bath equipped with dual sinks, shower and tub. 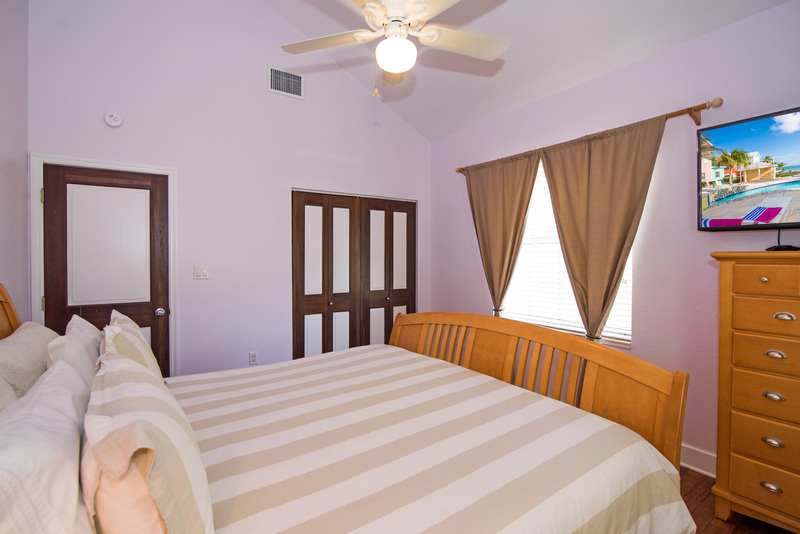 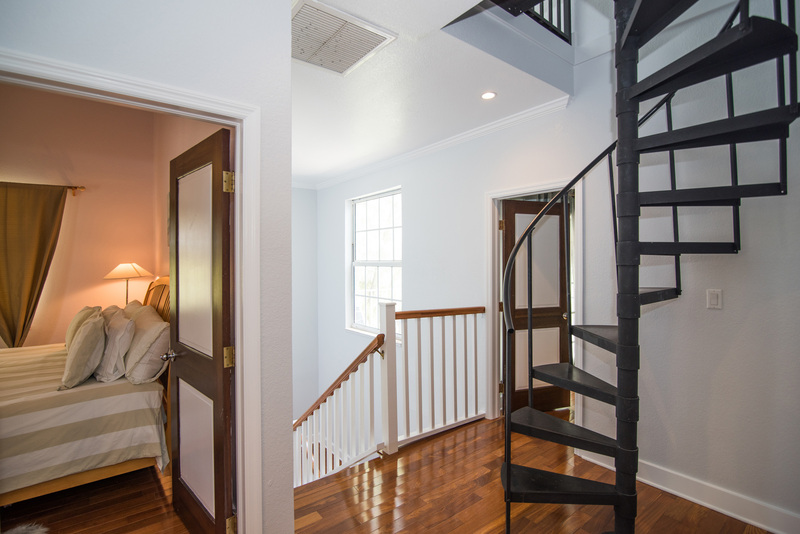 These 3 bedrooms are on the 2nd floor. 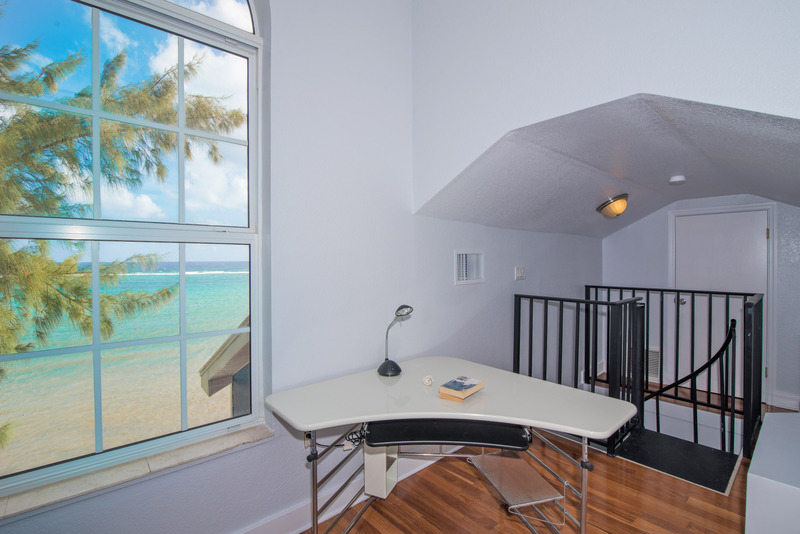 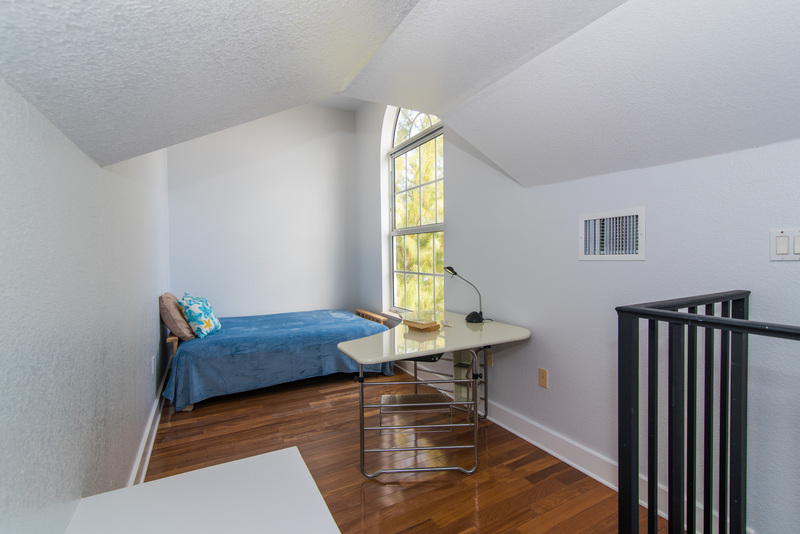 Via the spiral staircase, on the 3rd floor you’ll find a sofa bed and desk with huge panoramic window facing the sea. 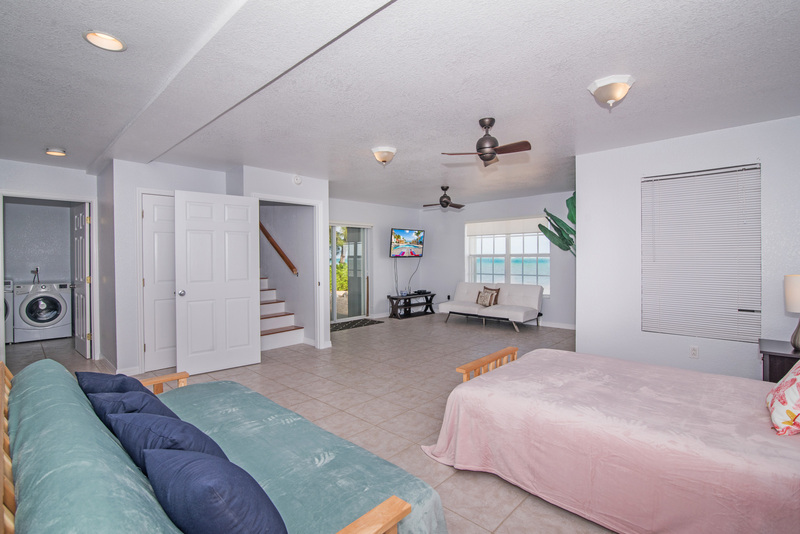 The large lower level has a full bath with shower, additional refrigerator and one queen bed, two single beds and sleeper sofa with a large window facing the private beach. 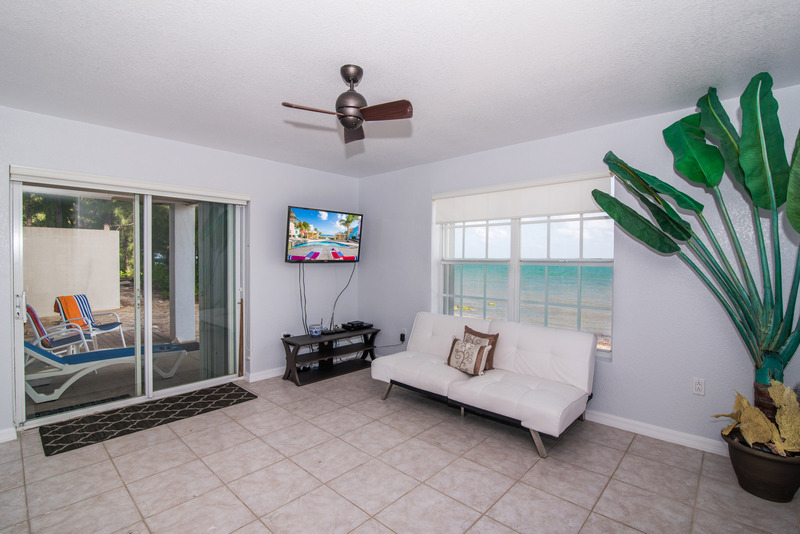 There’s also a covered patio with patio furniture and a grill, and step right onto the natural white sandy beach. 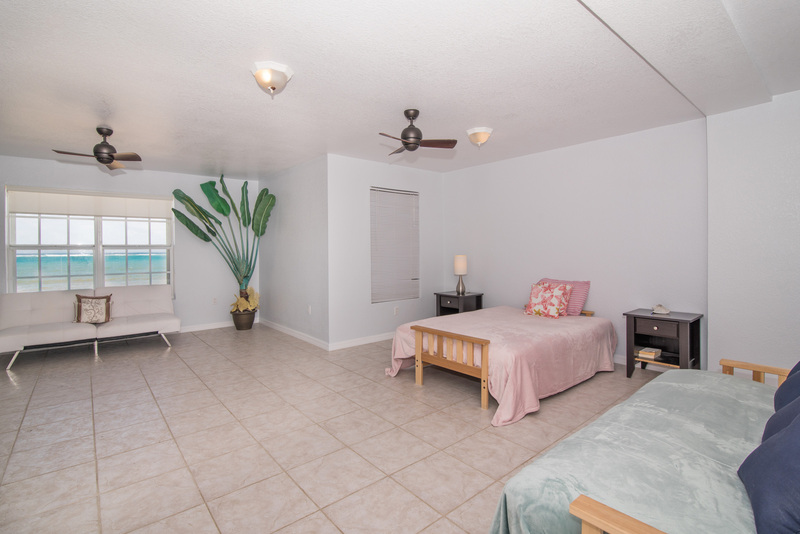 There is a separate laundry room for the washer/dryer, pool and sea toys, snorkeling gear, floaters and 2 complimentary kayas for your use. 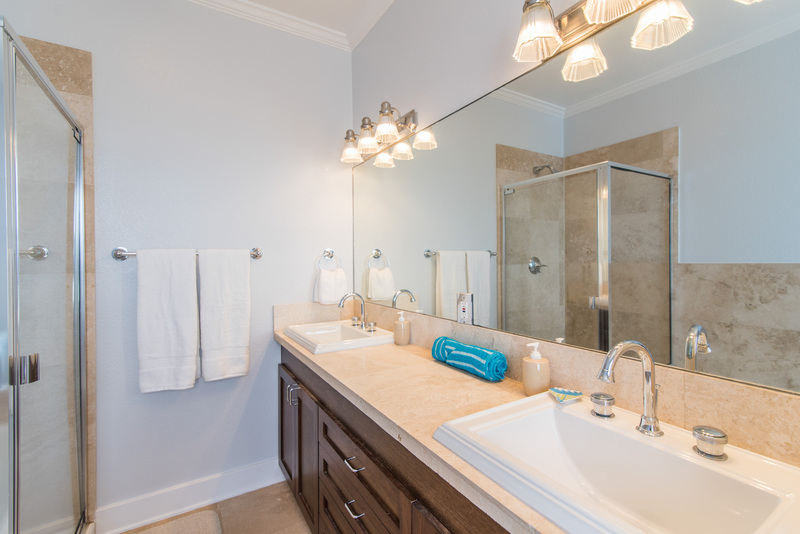 A Pack and play is included along with all towels, beach towels and basic supplies. 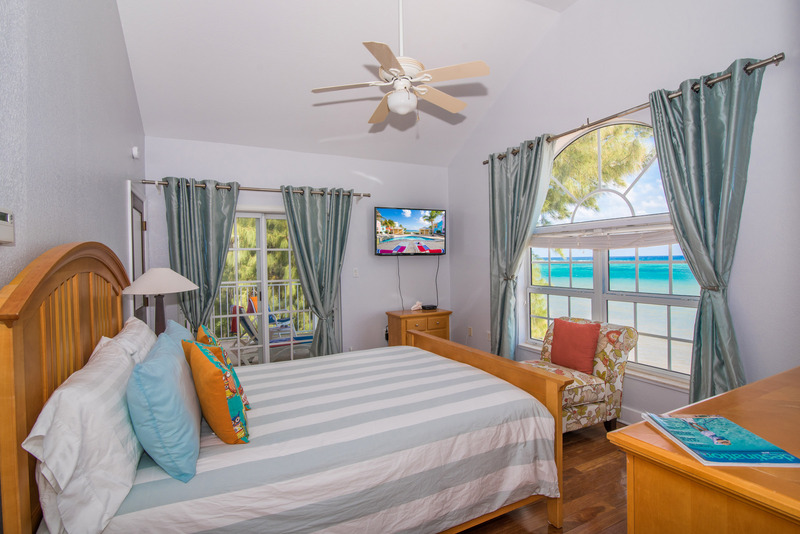 We are away from the congestion and cruise ships found on 7 Mile Beach, yet close to a variety of excellent restaurants, world class diving, unlimited snorkeling, water sports and boat excursions to Stingray City, the Caves and the beautiful Botanical Gardens. 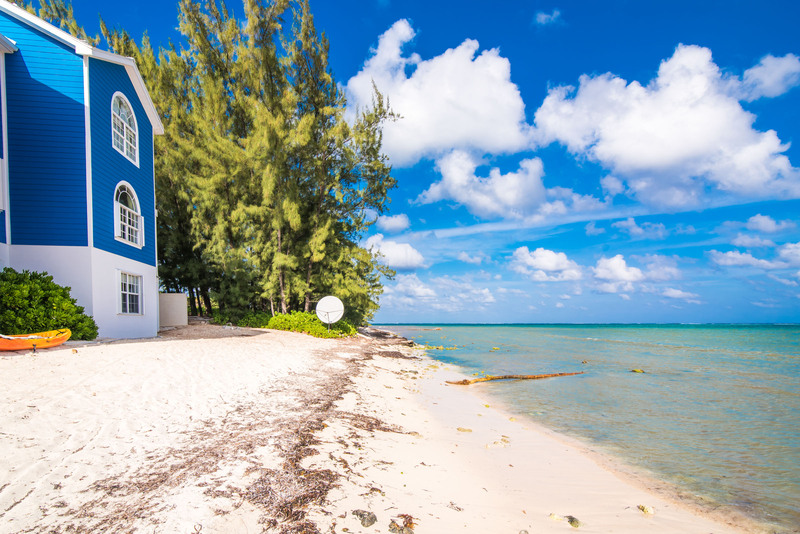 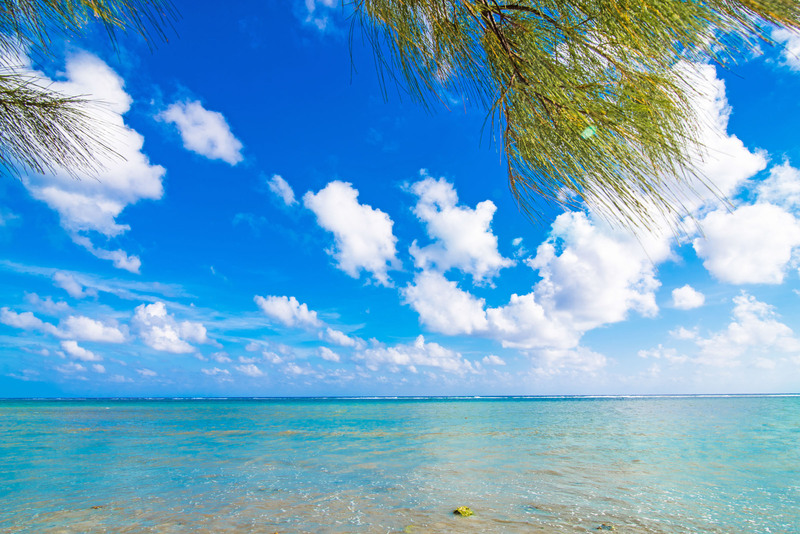 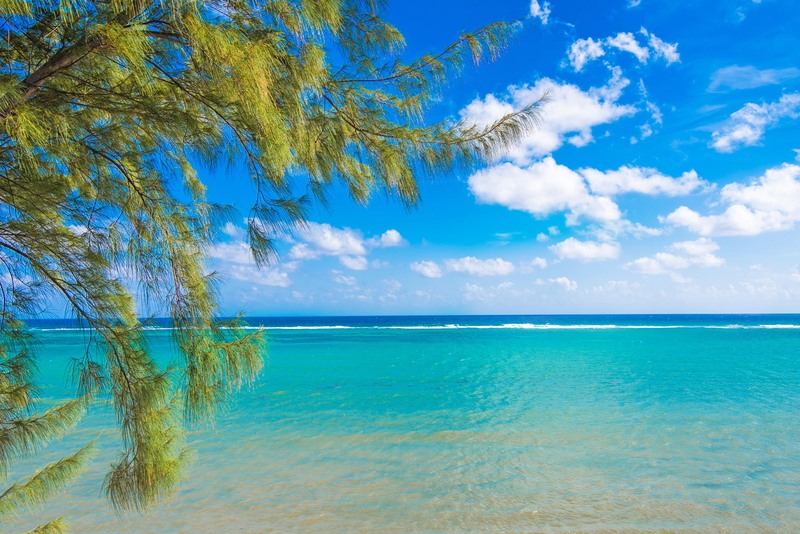 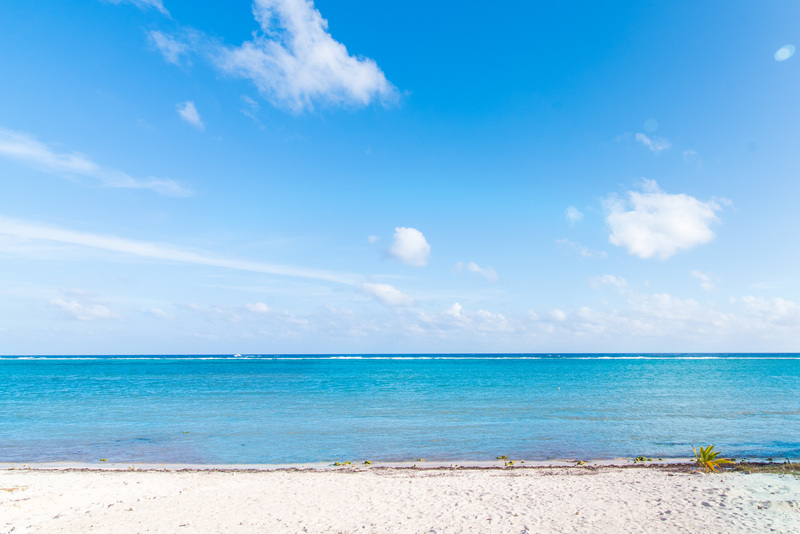 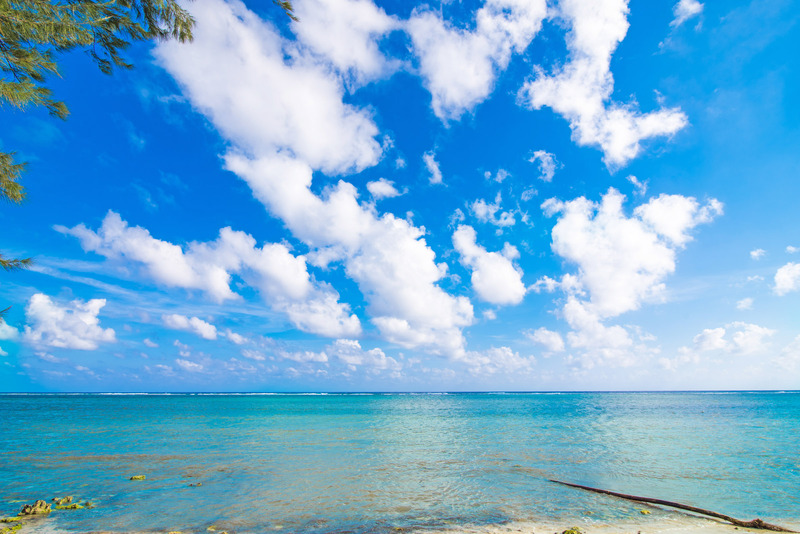 It’s a perfect place to get away from it all, yet a short drive to everything Grand Cayman has to offer. 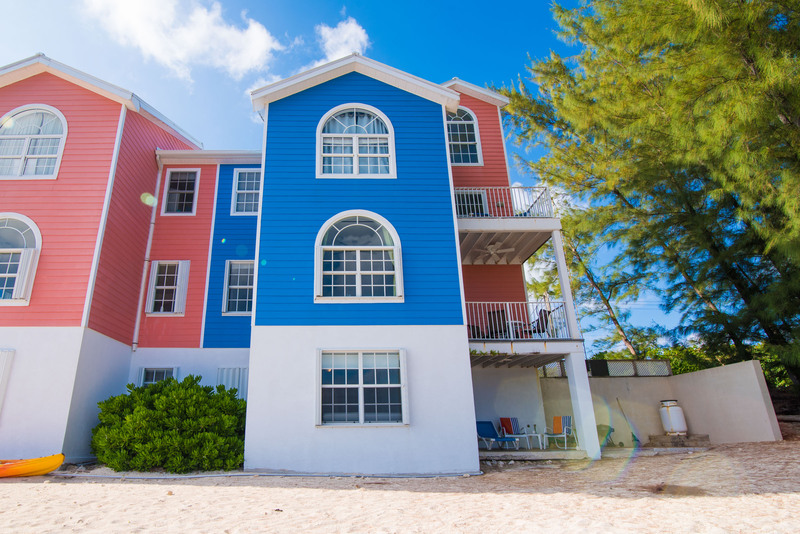 No reviews of cayman paradise villa #1 Leave a review?